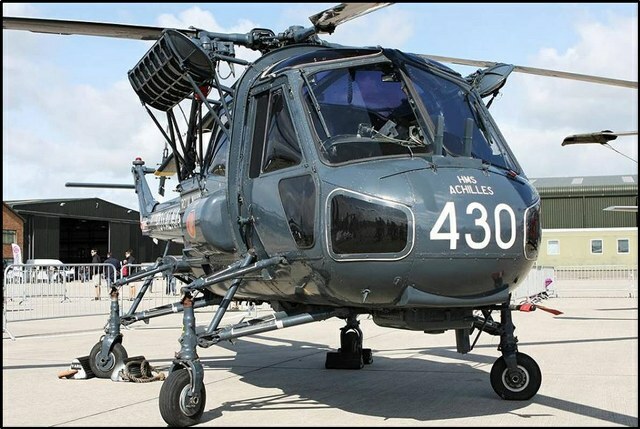 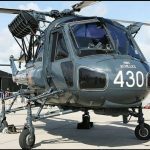 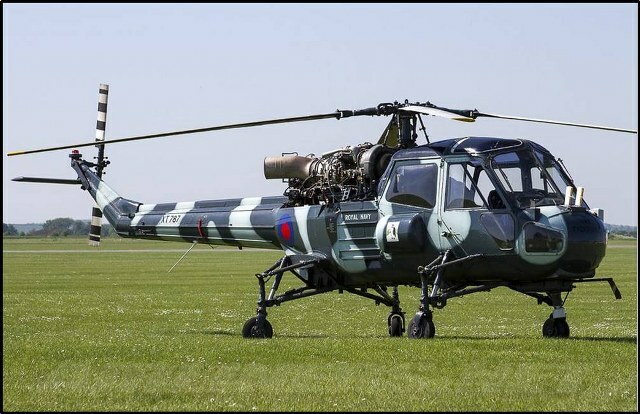 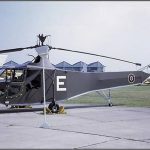 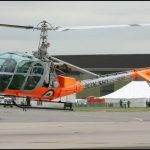 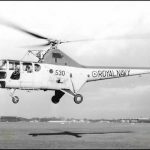 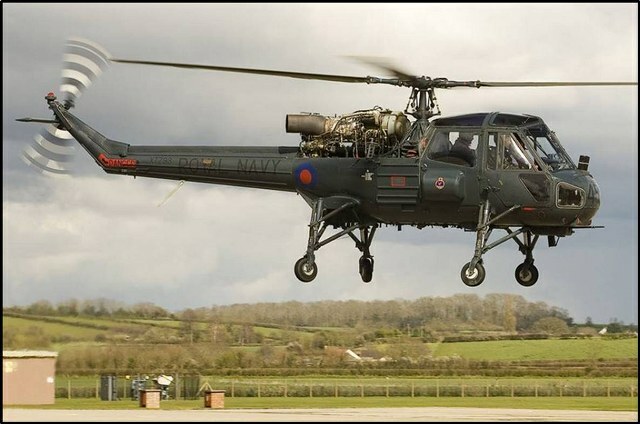 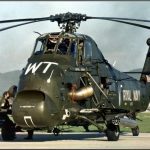 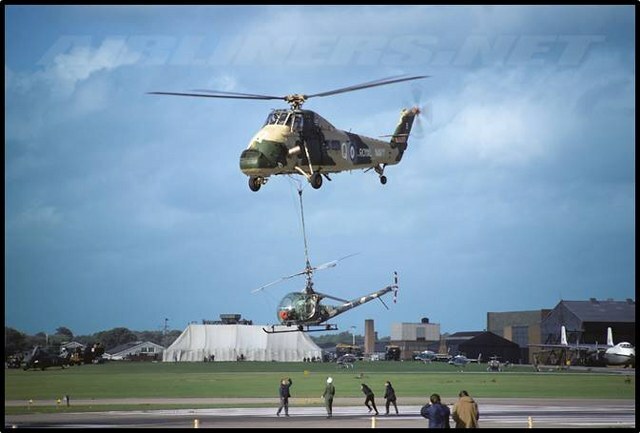 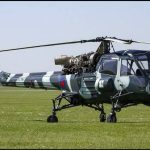 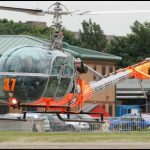 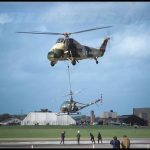 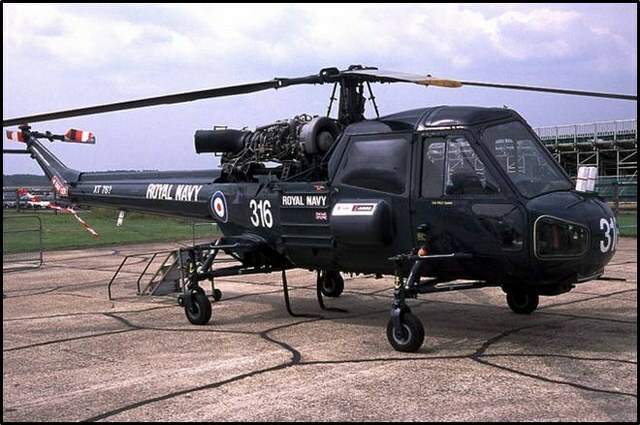 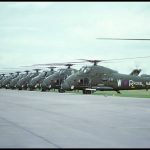 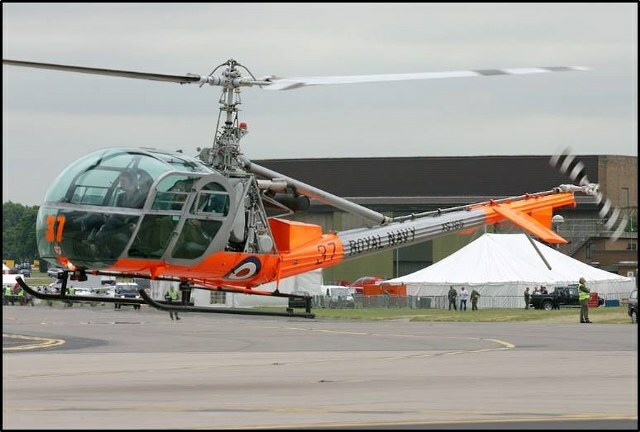 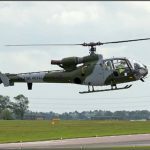 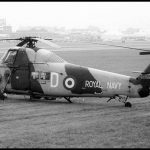 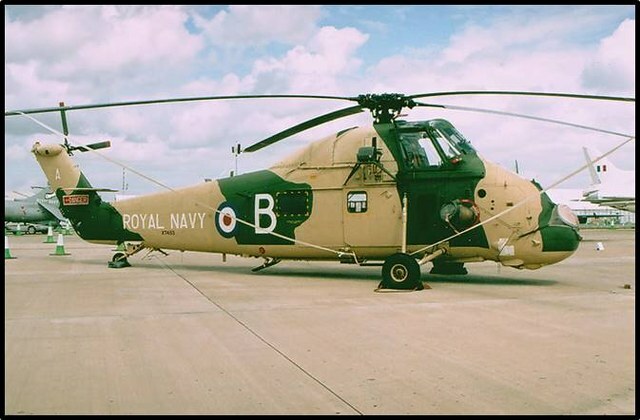 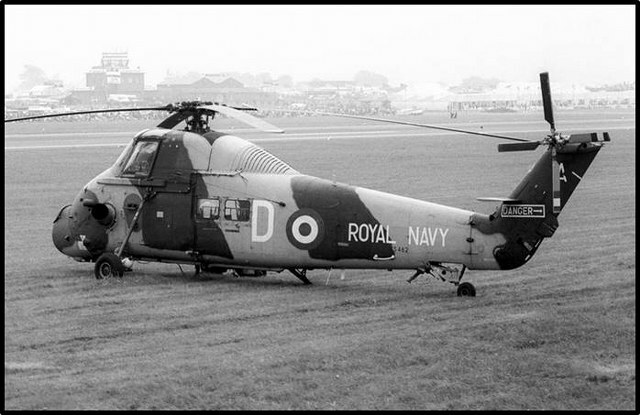 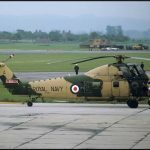 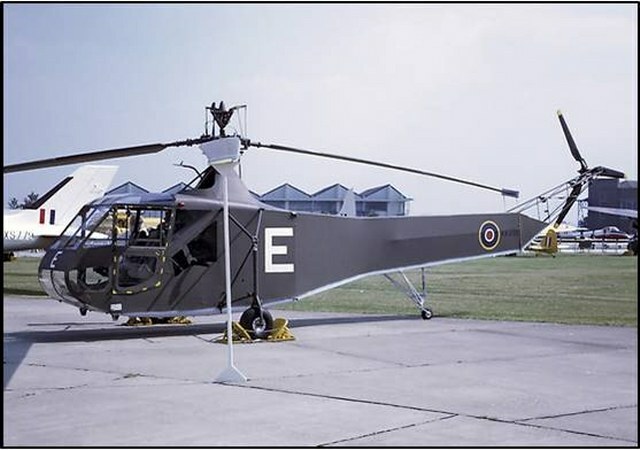 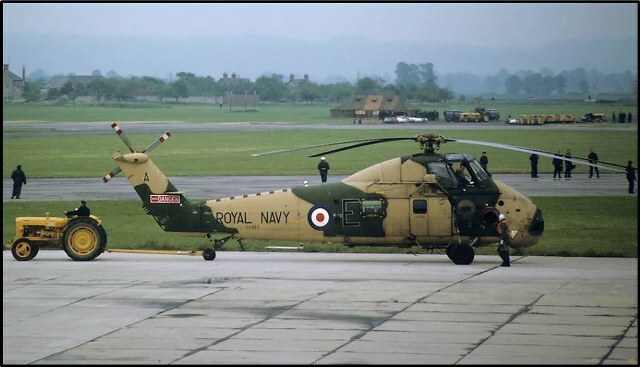 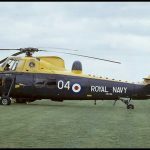 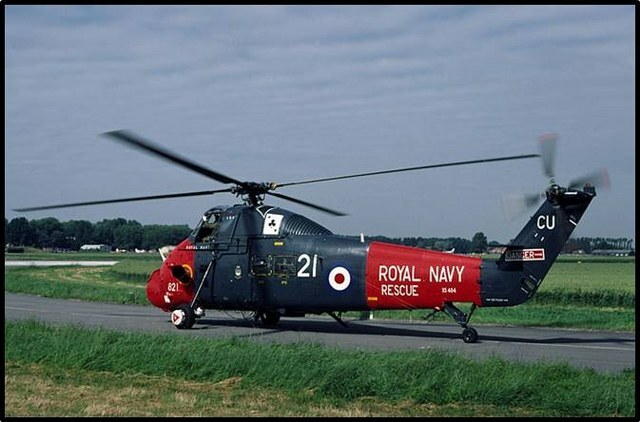 Westland Dragonfly HR5 (WS-51) Making a rare appearance outdoors at the 2000 RNAS Yeovilton Airshow, Westland Dragonfly HR.5 VZ595 looks to have been newly restored. 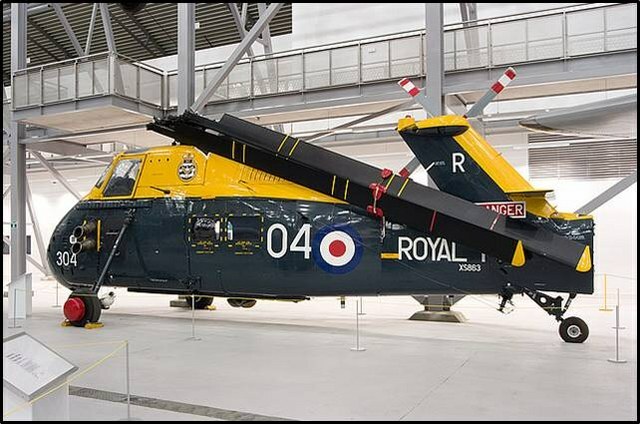 She is the oldest preserved Dragonfly in the UK. 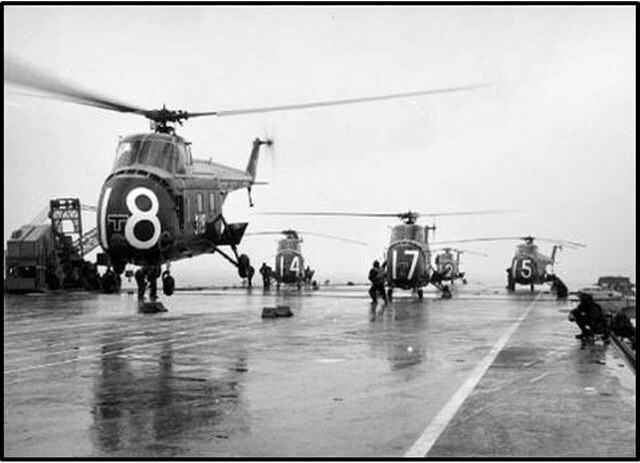 Hiller UH-12E A quartet of Hiller UH-12’s of the Royal Navy making a fuel stop at Eelde. 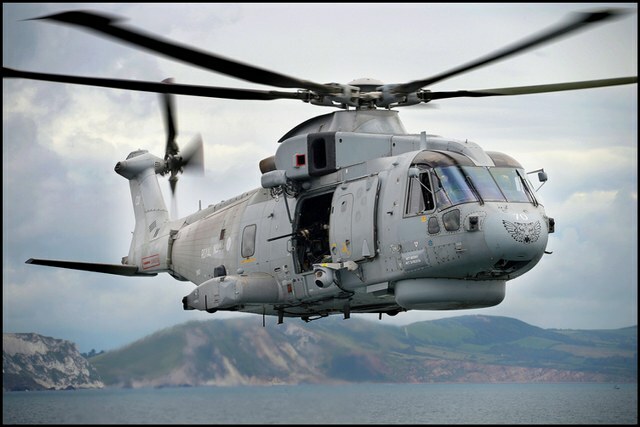 Delivered by sea to RNAY Fleetlands. 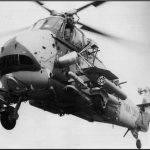 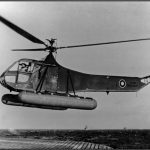 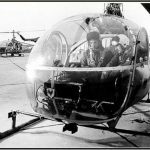 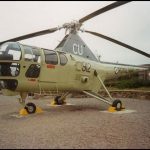 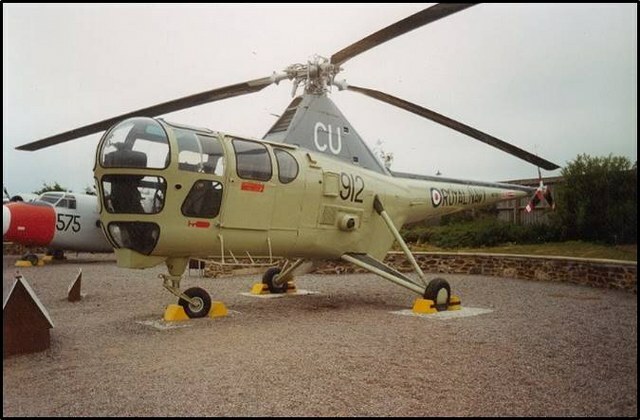 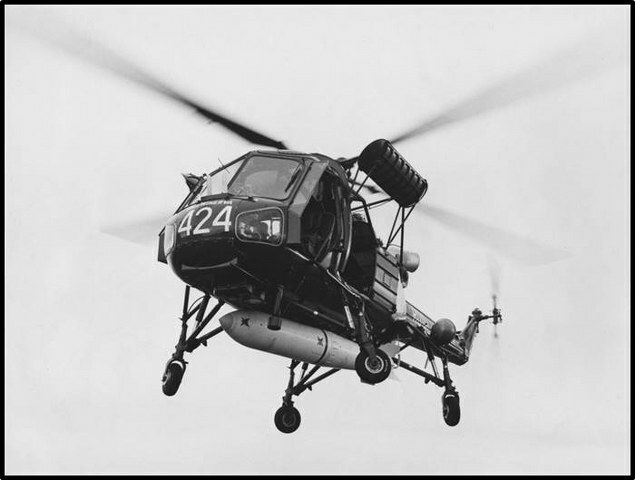 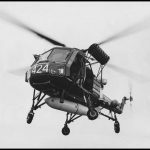 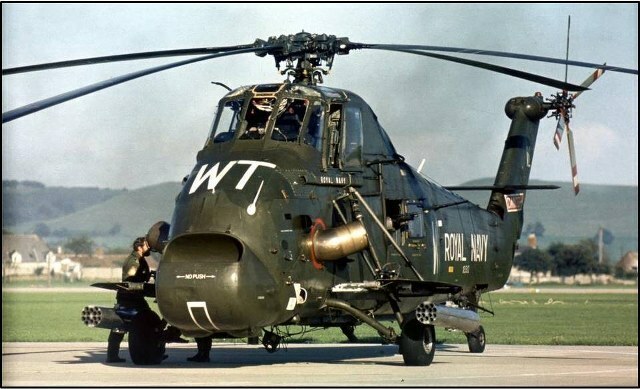 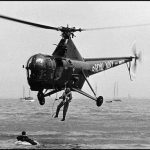 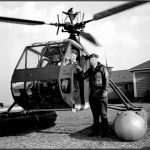 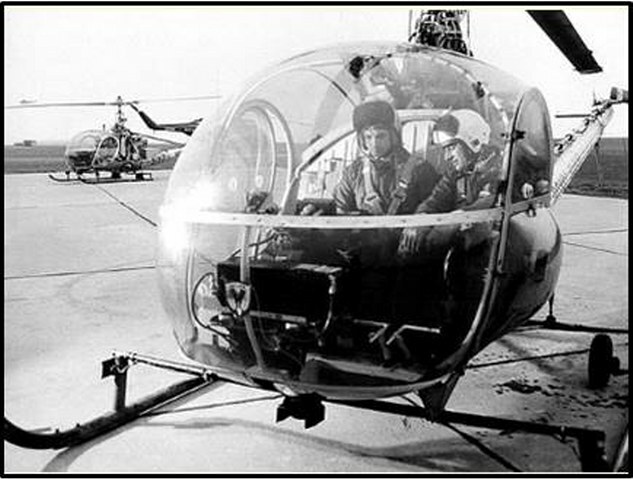 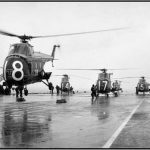 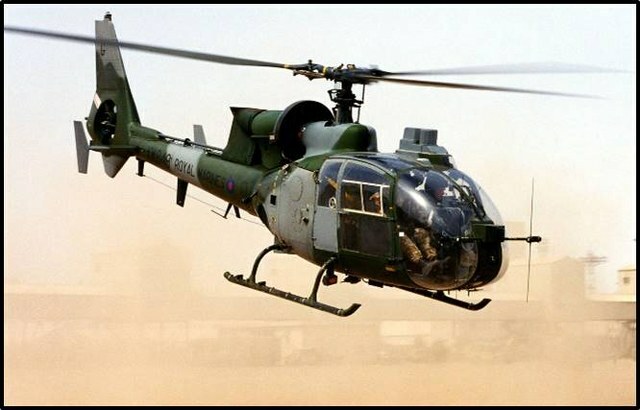 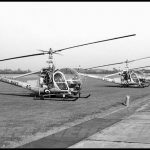 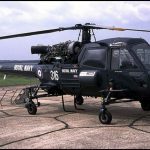 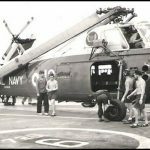 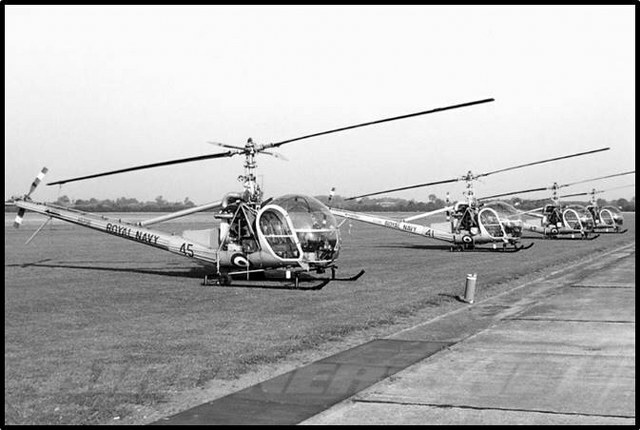 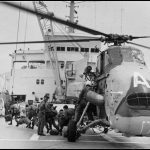 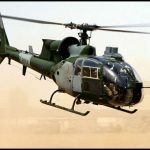 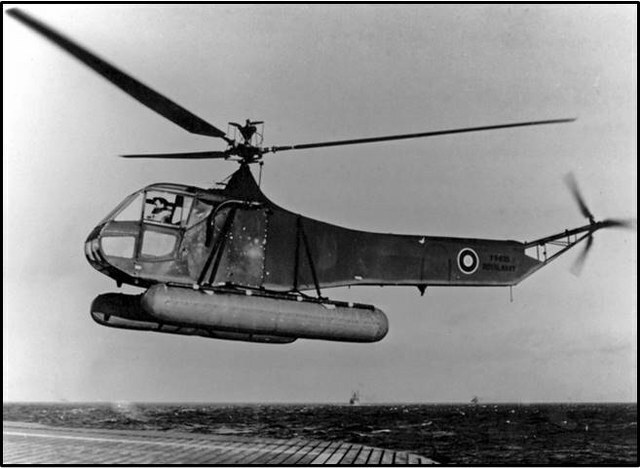 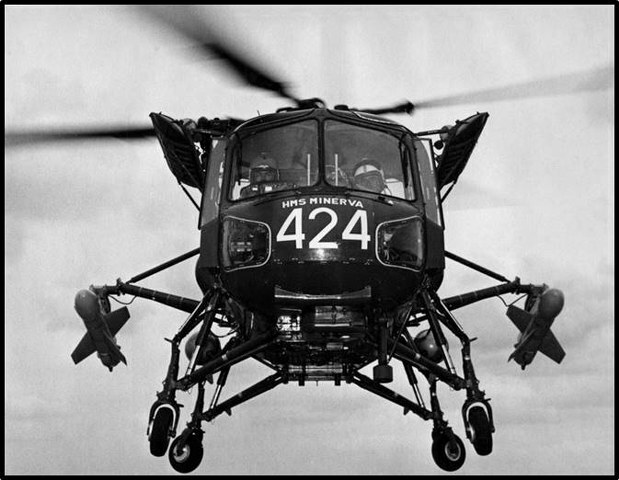 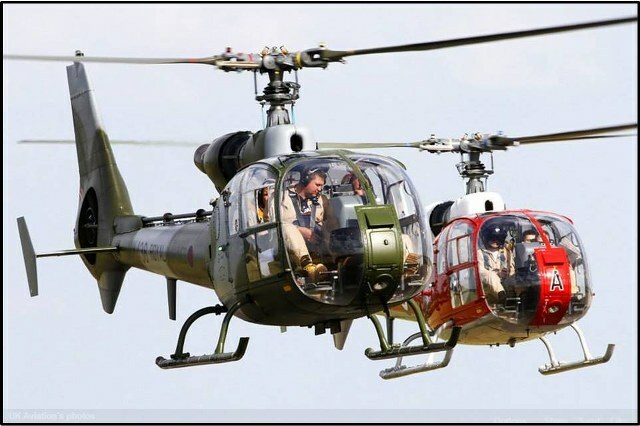 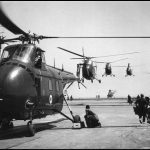 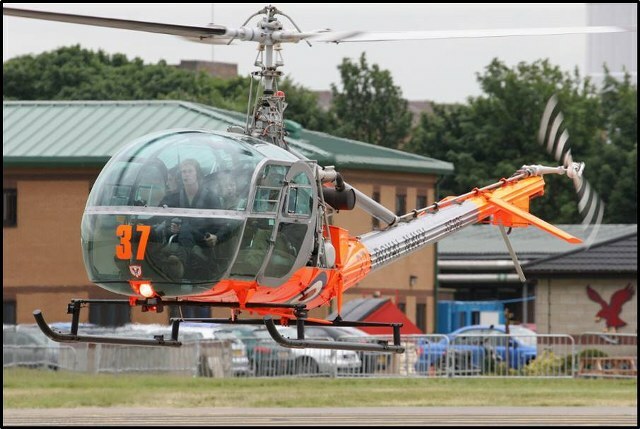 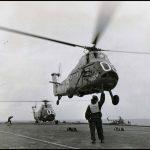 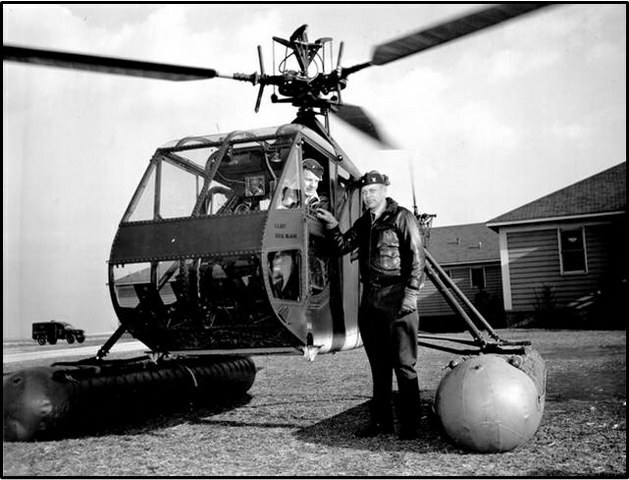 These Hillers were built as three-seat dual-control light utility and observation helicopters and were used in the Navy as training aircraft. 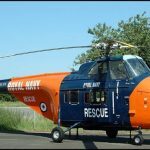 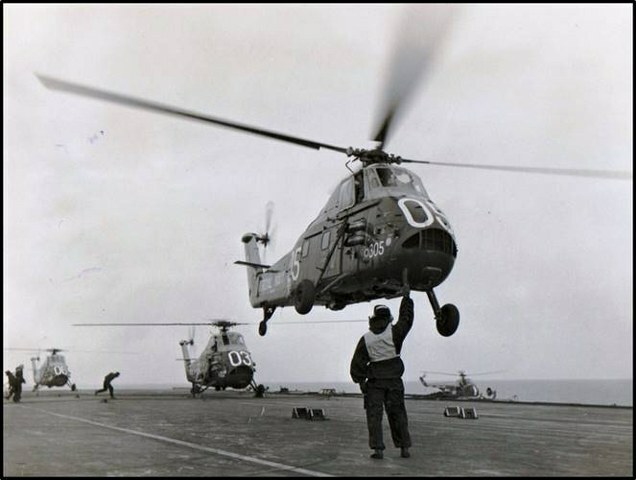 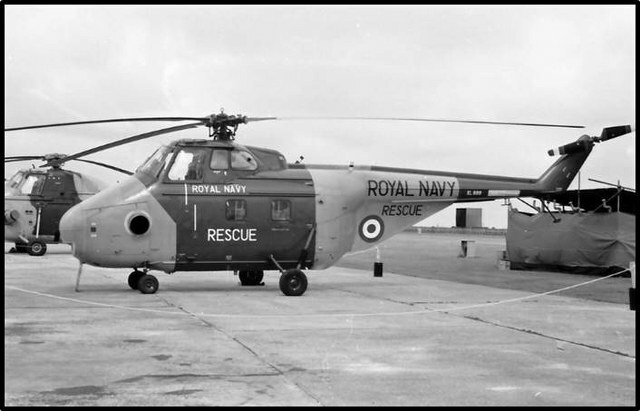 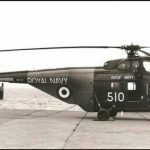 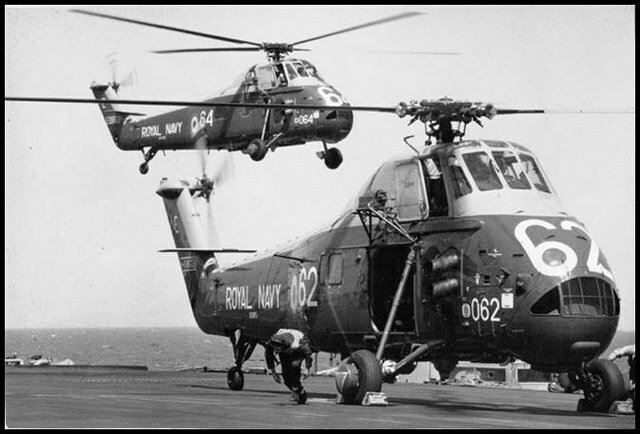 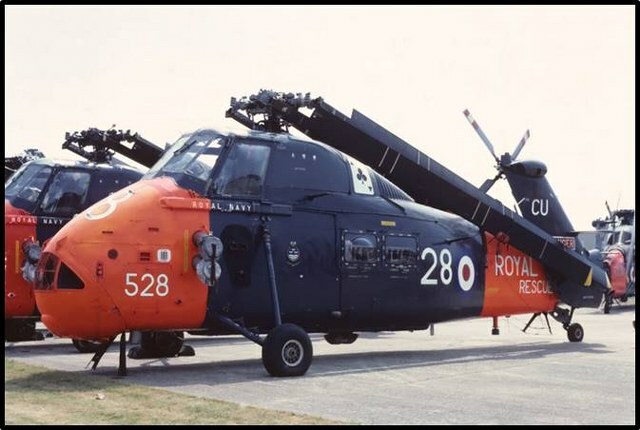 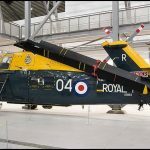 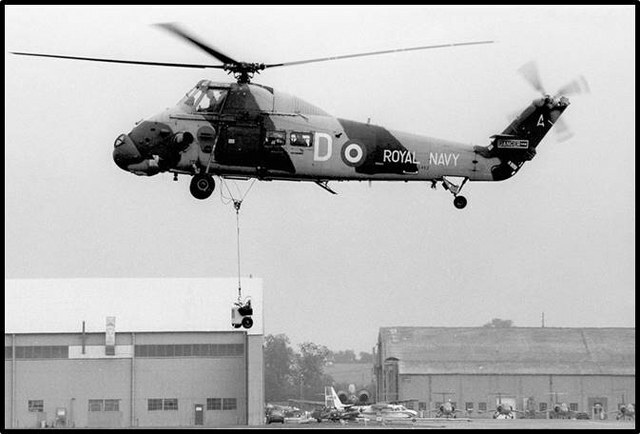 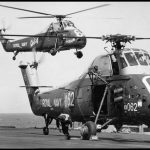 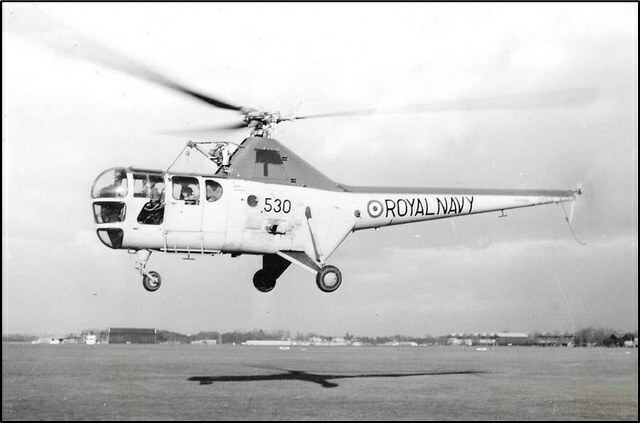 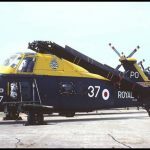 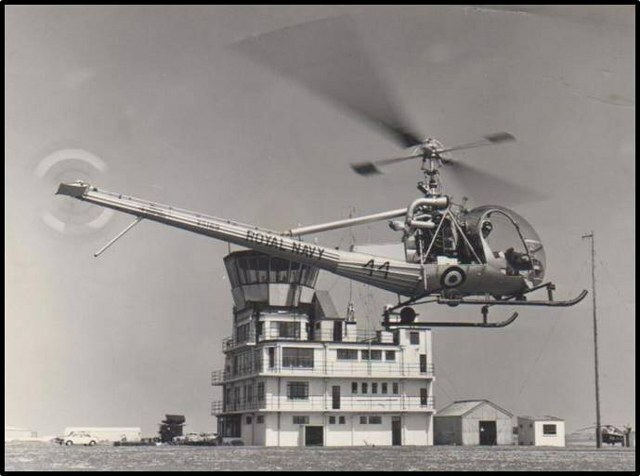 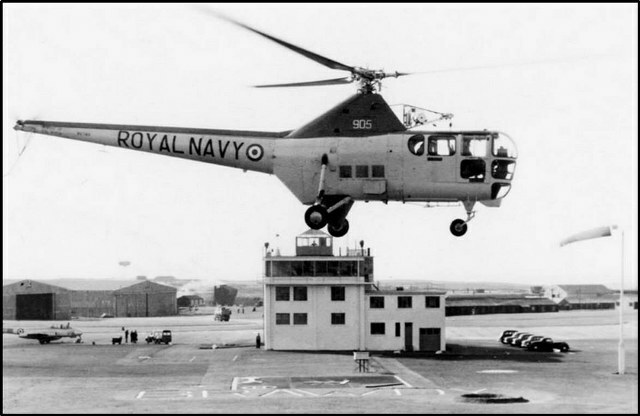 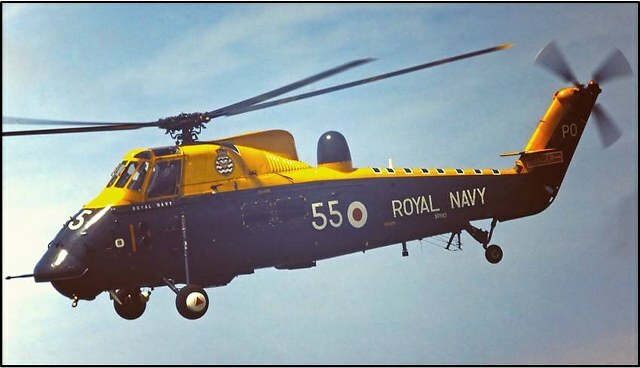 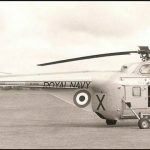 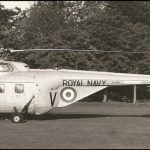 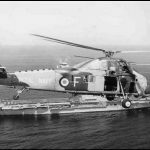 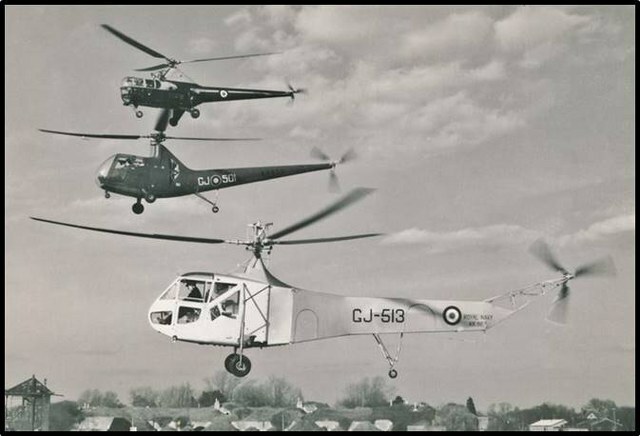 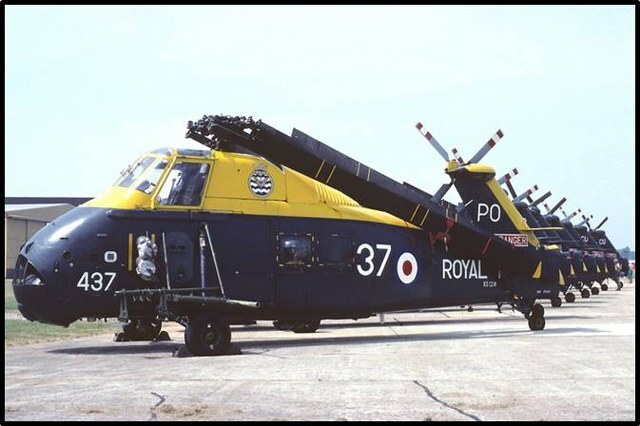 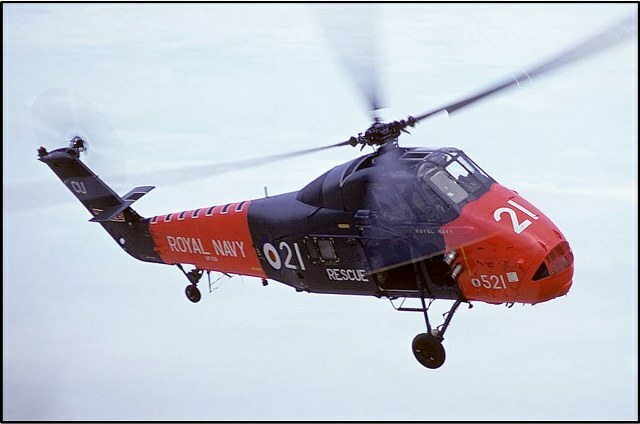 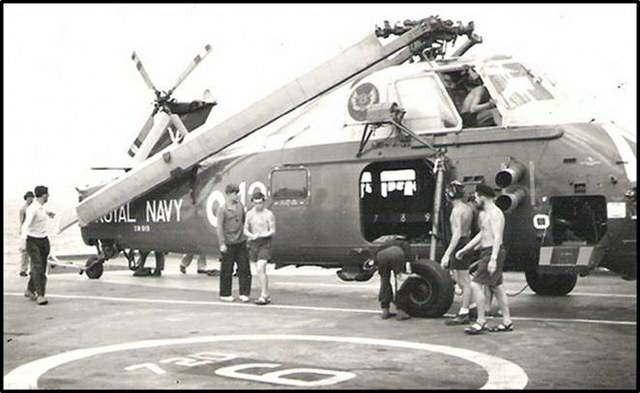 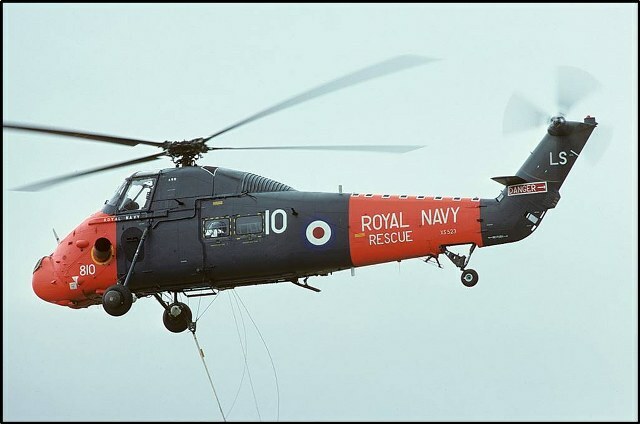 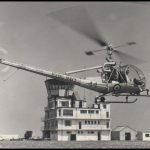 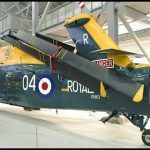 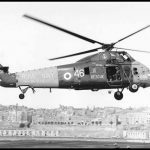 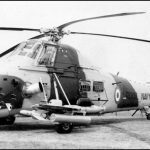 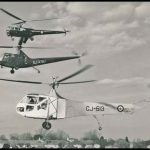 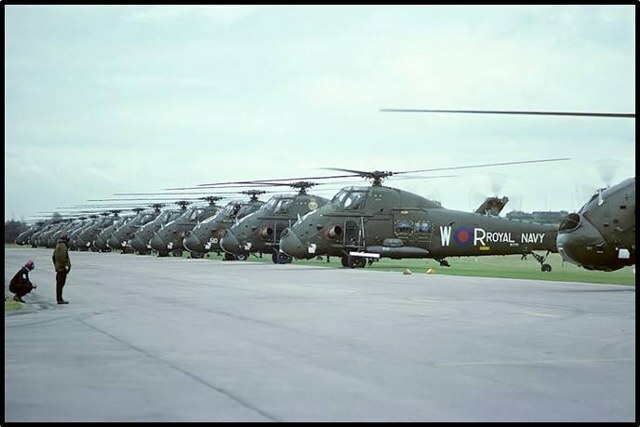 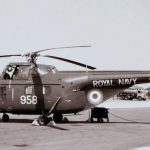 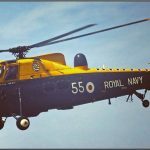 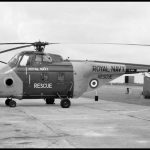 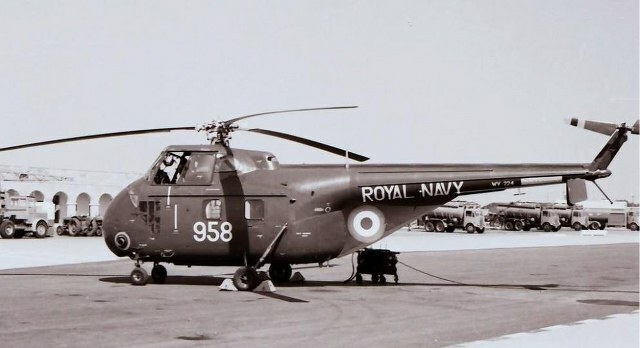 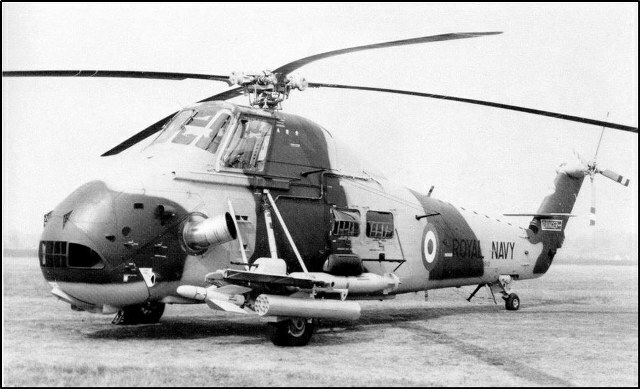 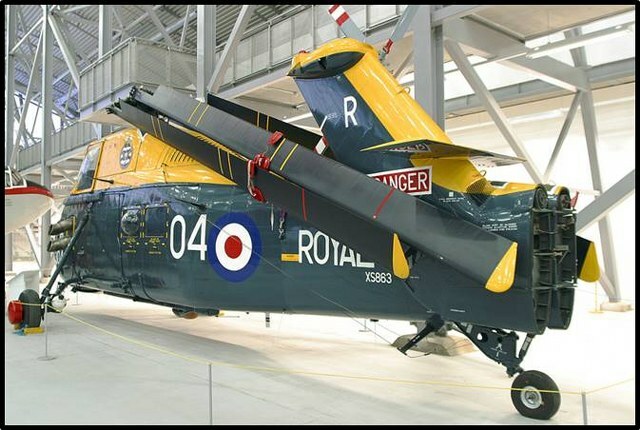 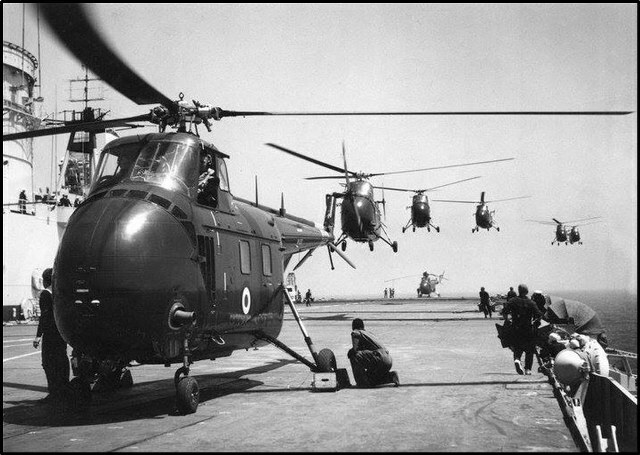 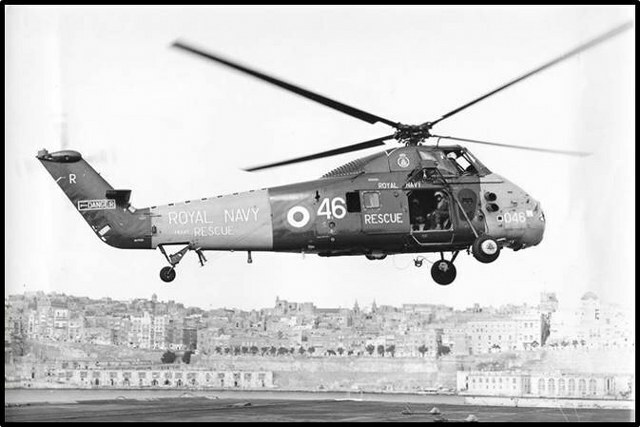 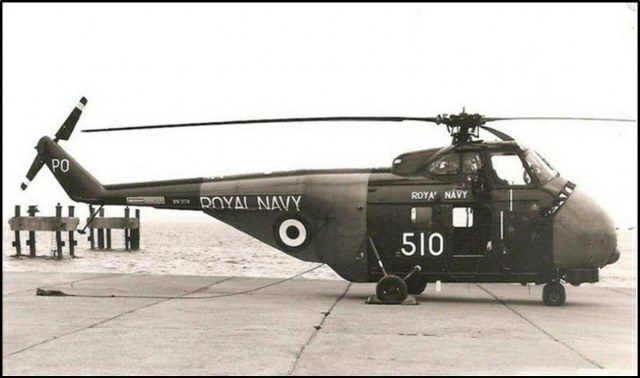 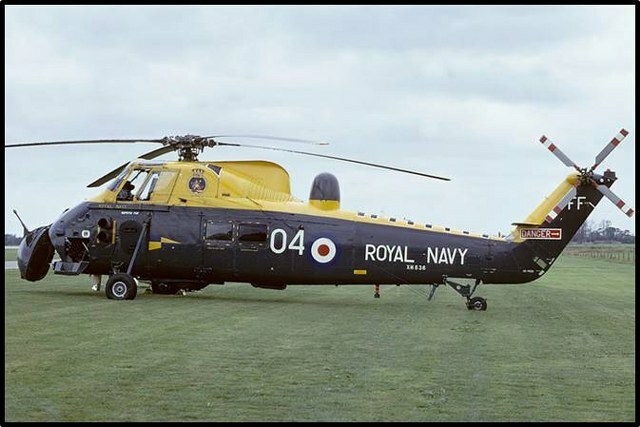 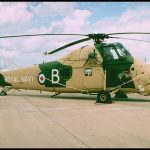 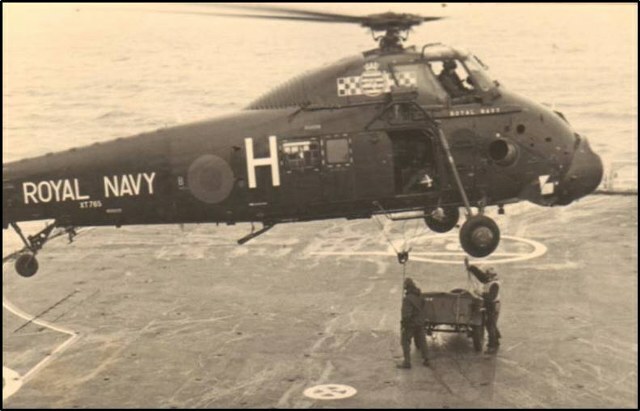 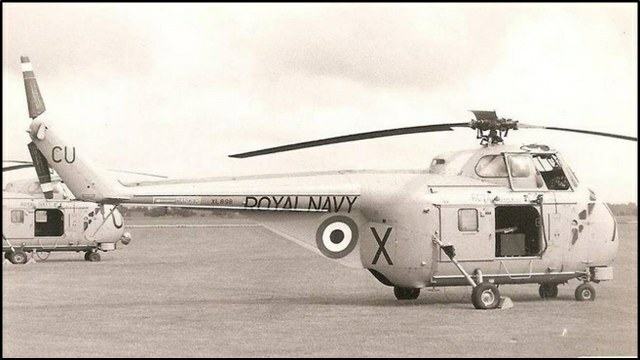 Westland WS-55 Whirlwind 3 Freshly painted in Royal Navy colours and named named “Princess Olivia”. 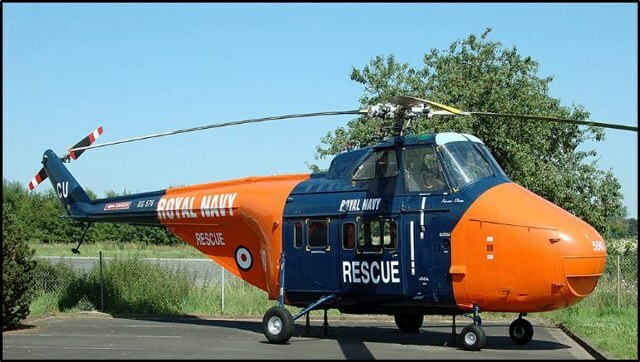 Ex Bristow Helicopters G-AYNP. 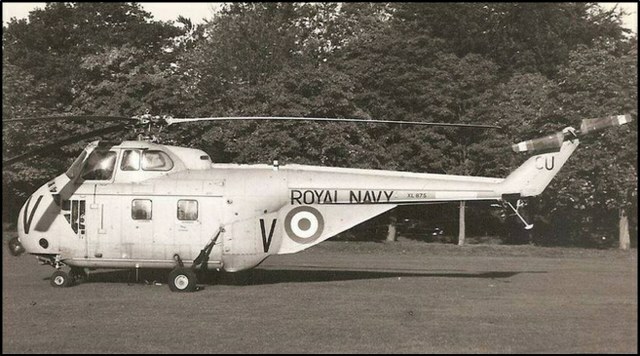 Originally delivered to the Royal Navy as XG576 in 1955. 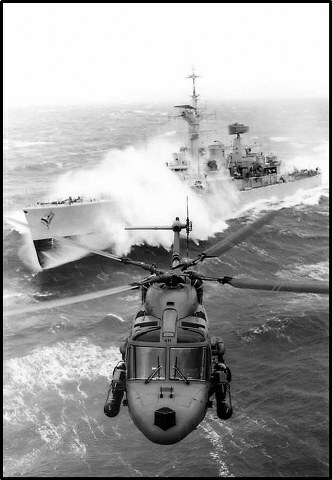 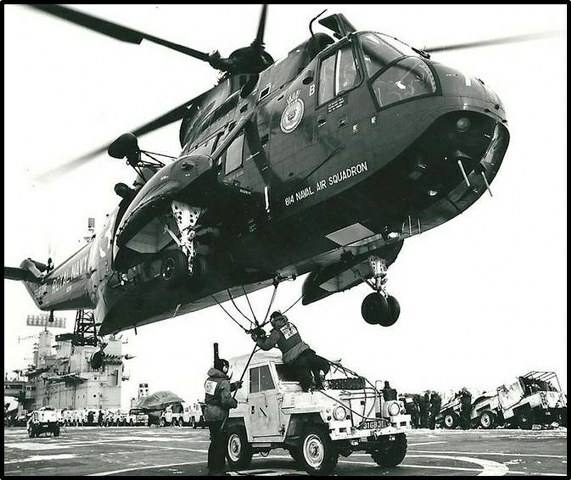 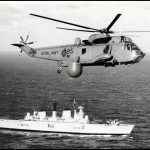 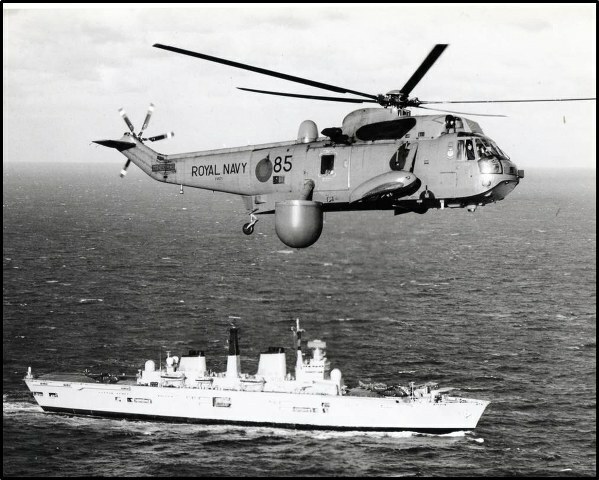 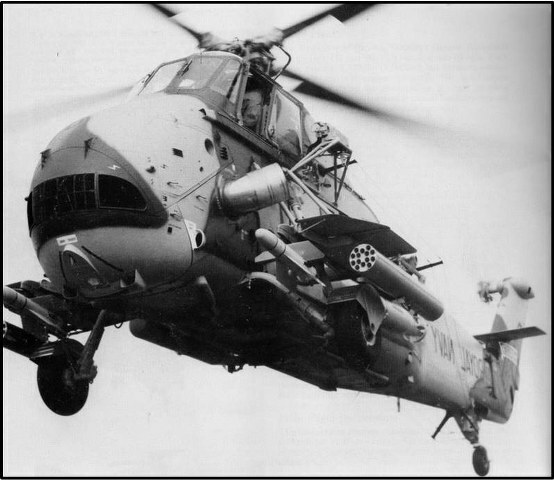 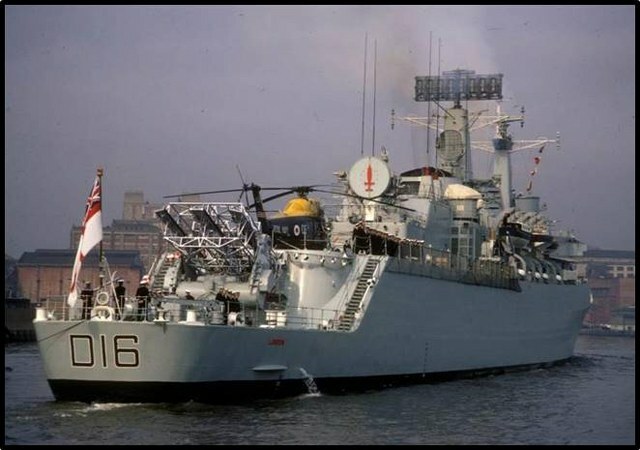 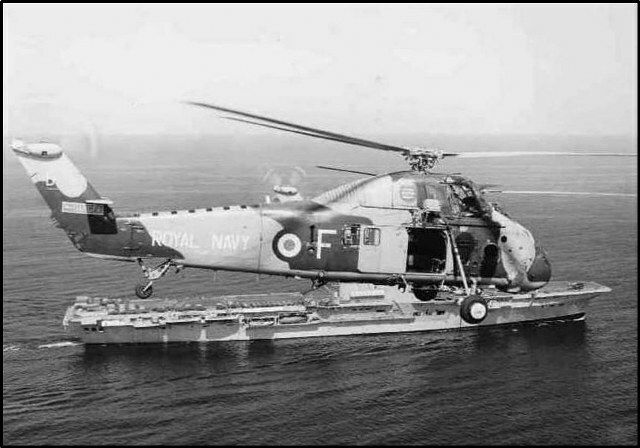 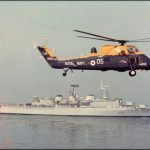 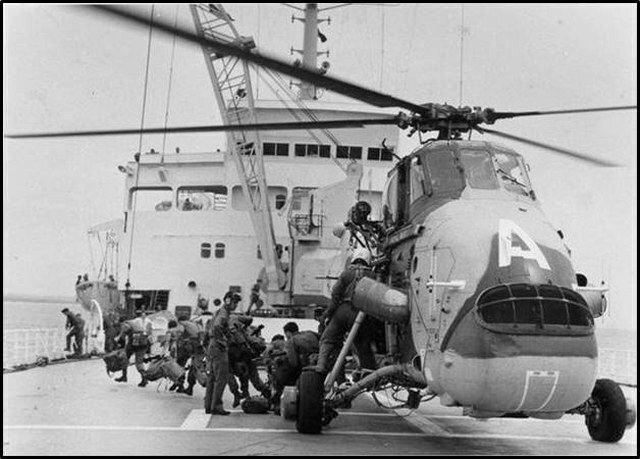 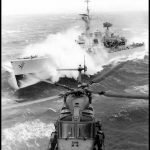 Westland Wessex HAS3 XM836 / FF-04 Of 737 Naval Air Squadron ship based on the County Class Destroyer HMS Fife. 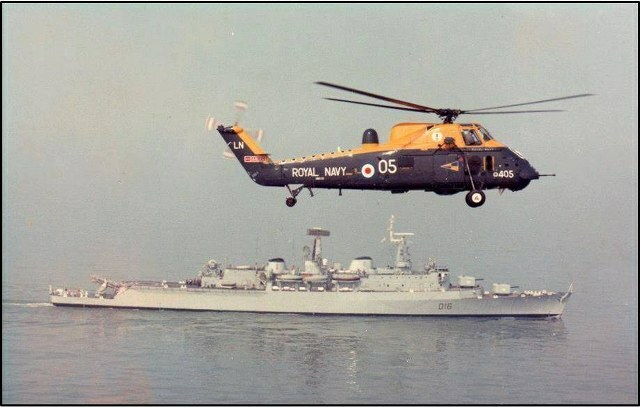 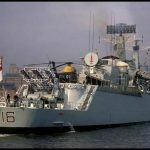 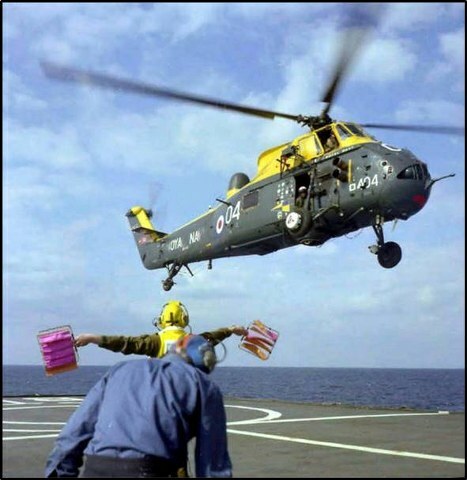 HMS London flight Wessex HAS Mk3 ,happy days. 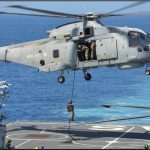 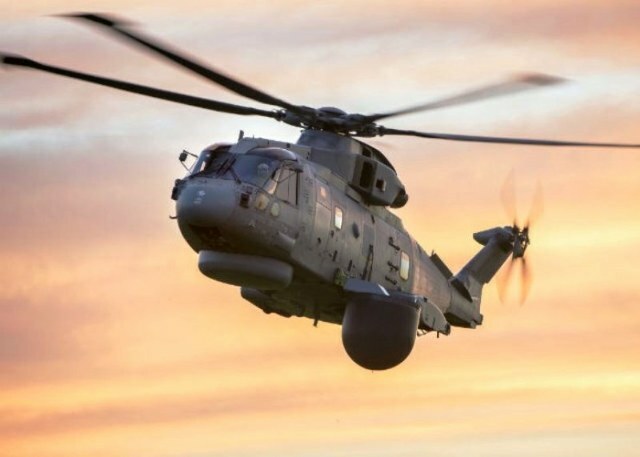 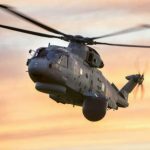 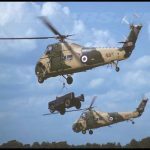 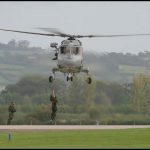 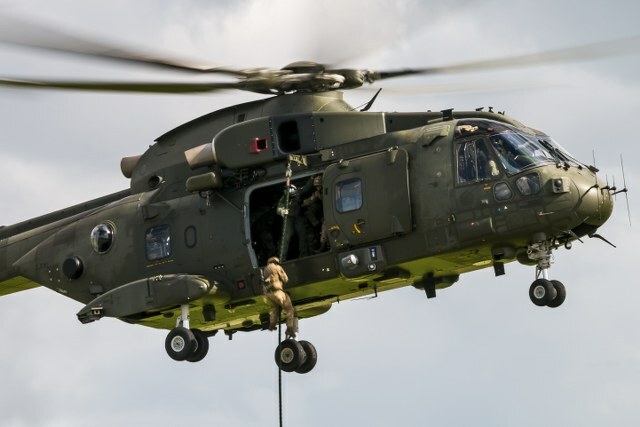 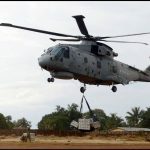 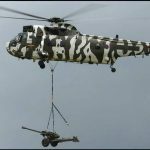 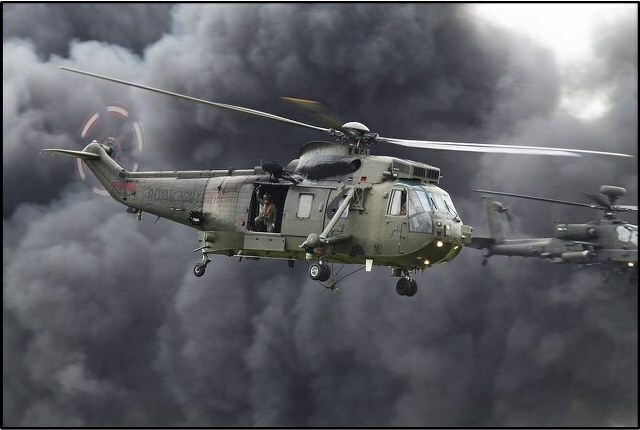 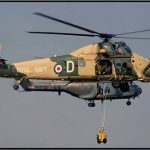 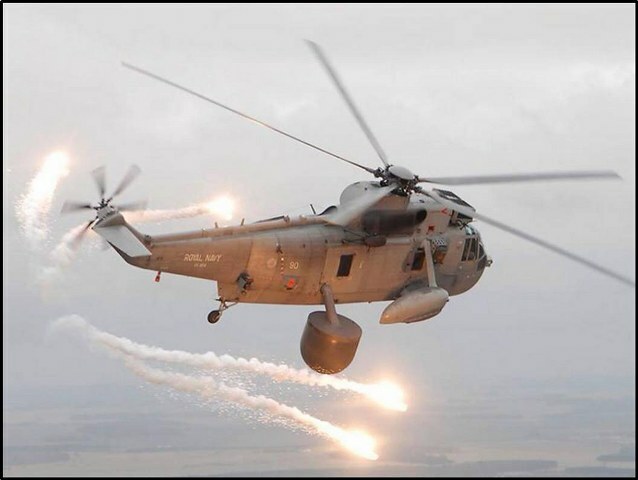 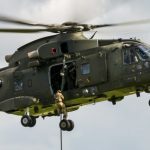 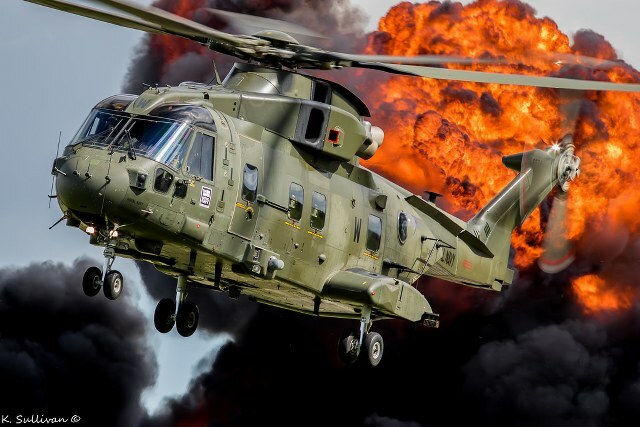 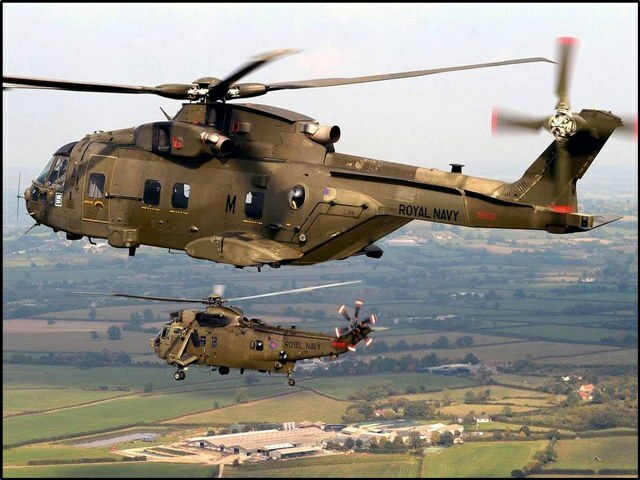 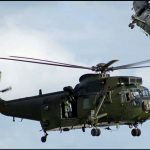 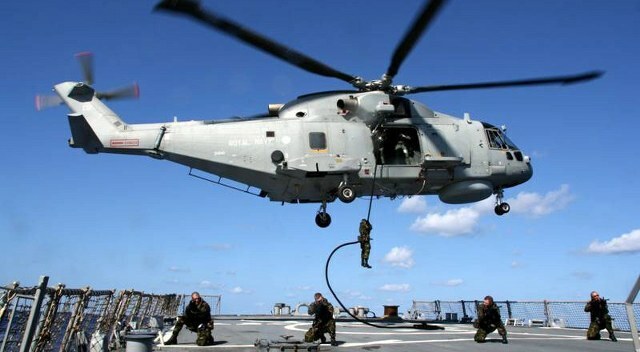 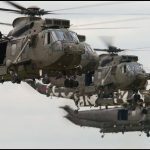 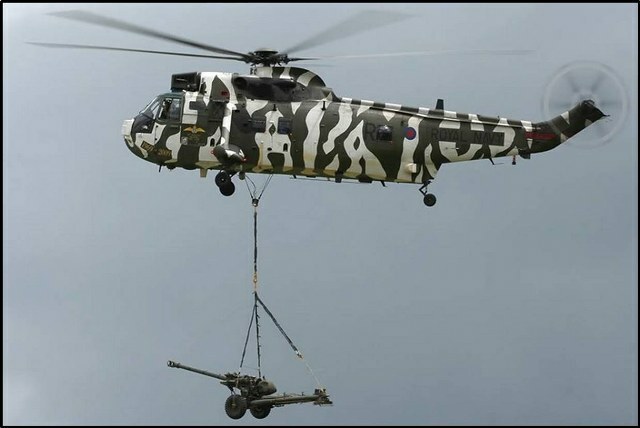 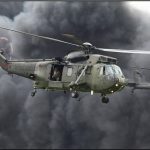 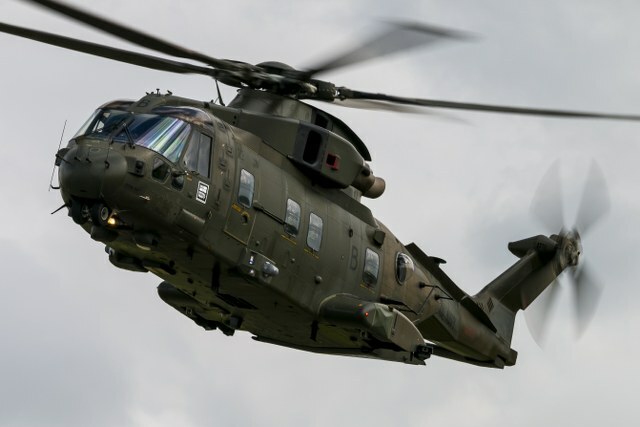 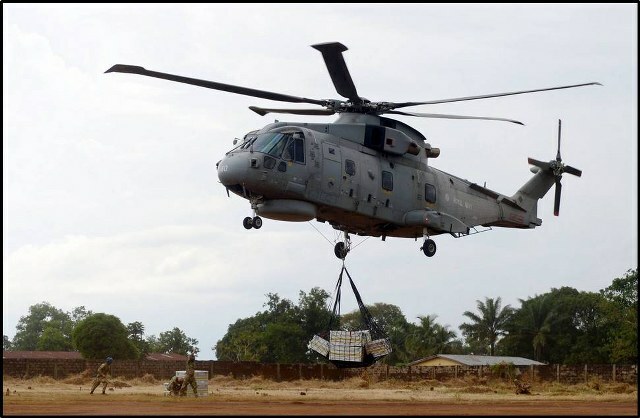 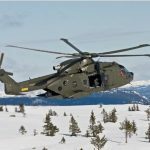 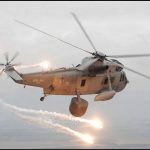 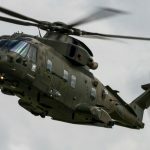 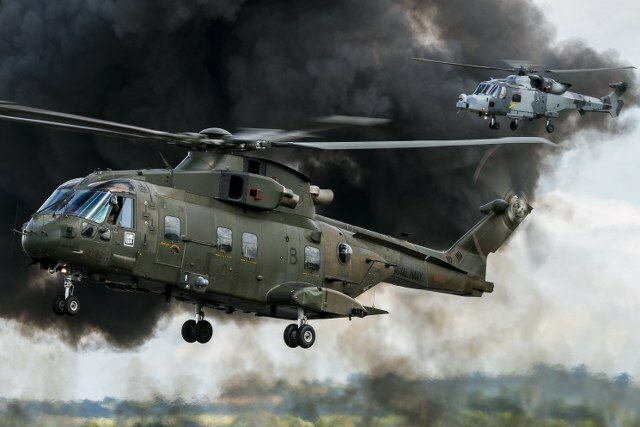 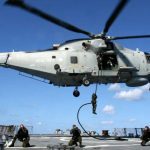 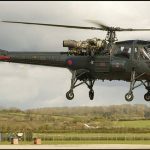 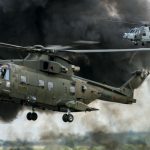 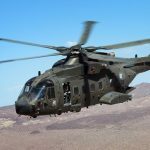 Joint Helicopter Command (JHC) personnel from 845 Naval Air Squadron and 27 Squadron Royal Air Force have been providing aviation support to more than 1000 Royal Marines and Royal Marines Reservists currently taking part in Exercise Black Alligator (EX BA15). 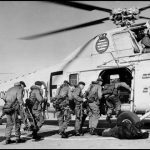 Played out on the huge training areas of the United States Marine Corps Air Ground Combat Center in California’s Mojave Desert EX BA15 also includes Marines from the Dutch and United States armed forces. 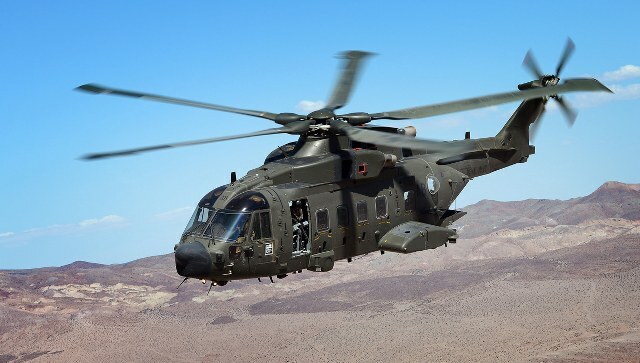 Photograph shows a 845 Naval Air Squadron Merlin MK3A helicopter flying over the training areas of the United States Marine Corps Air Ground Combat Center in California’s Mojave Desert during Exercise Black Alligator 2015. 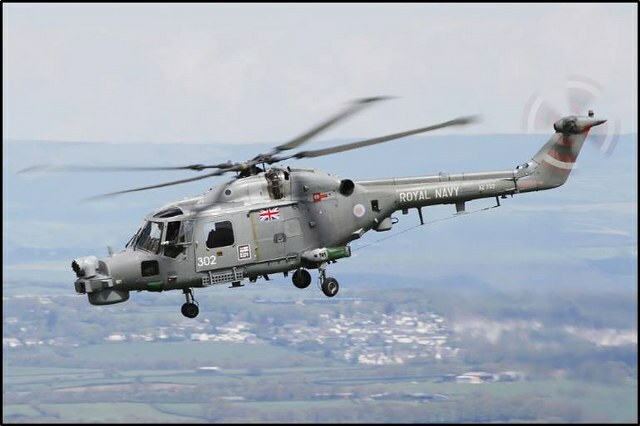 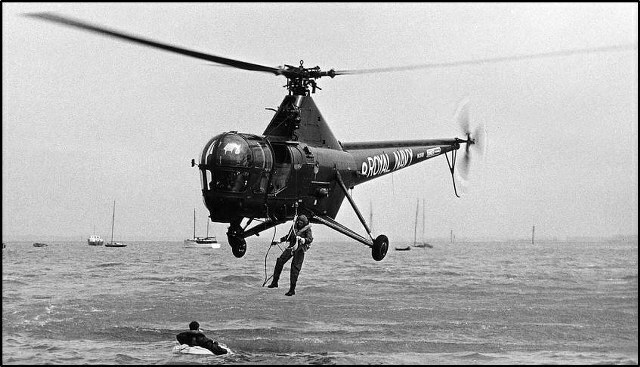 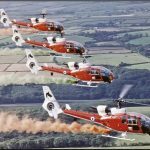 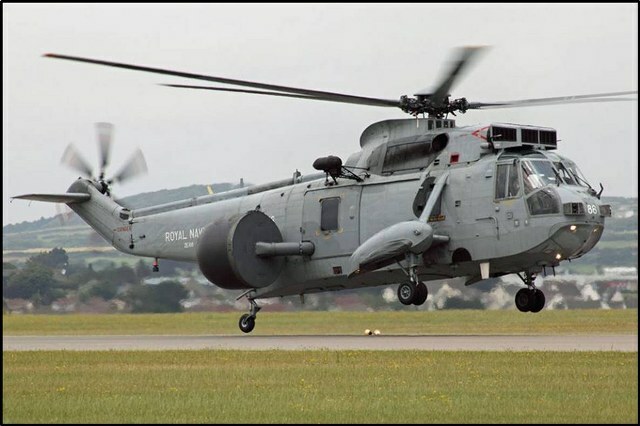 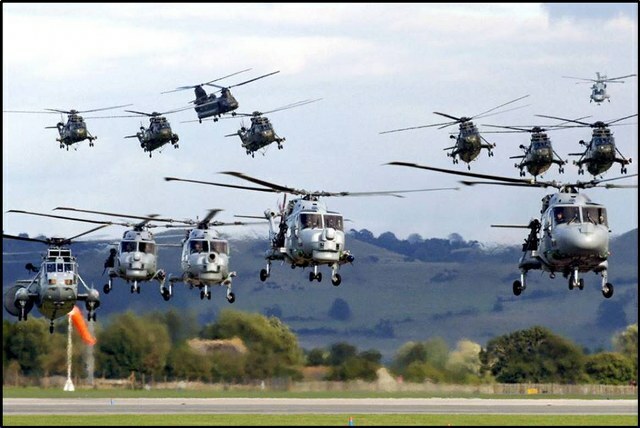 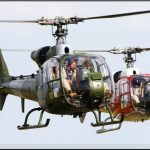 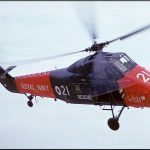 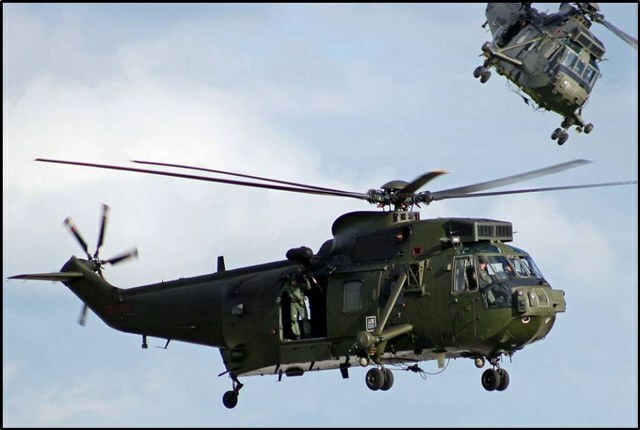 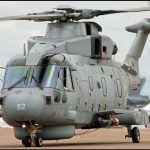 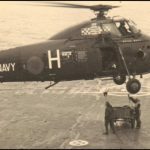 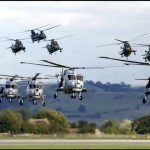 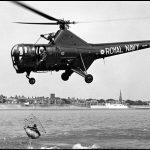 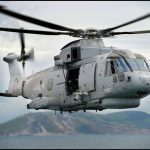 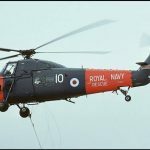 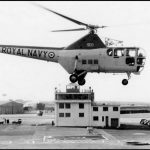 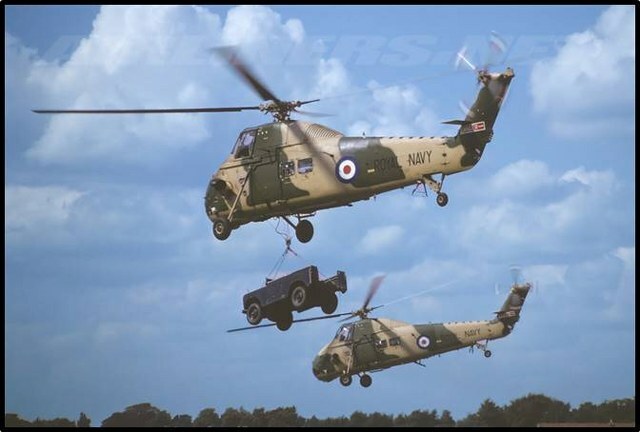 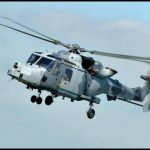 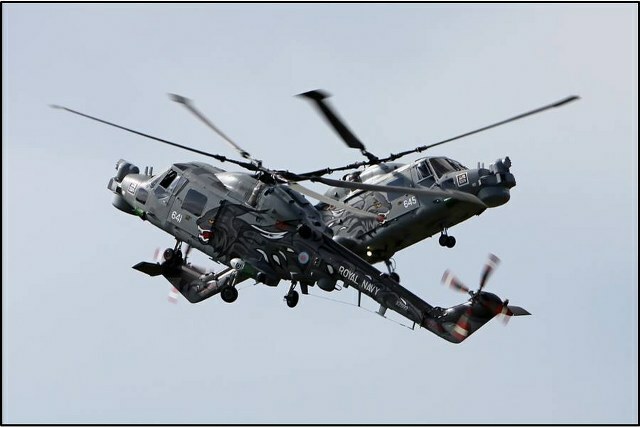 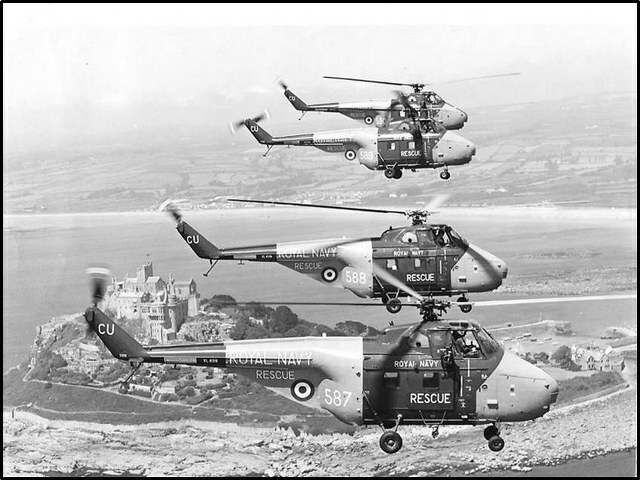 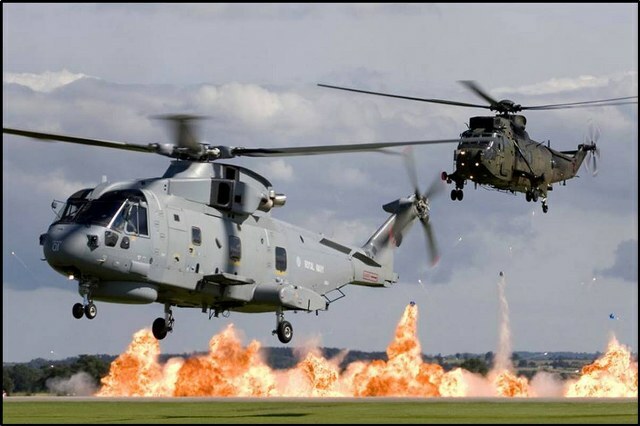 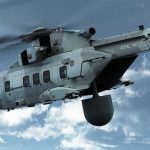 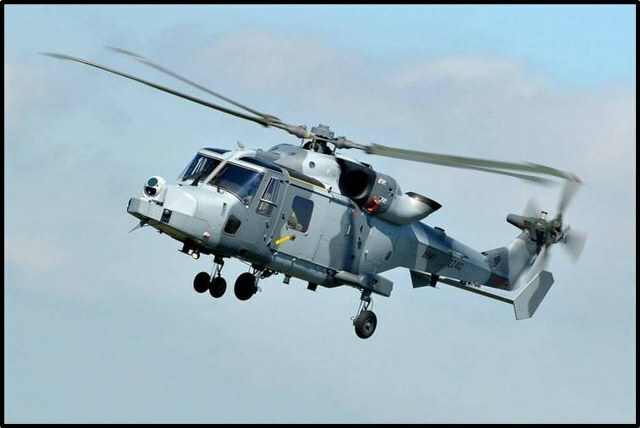 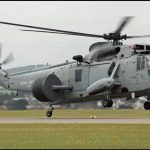 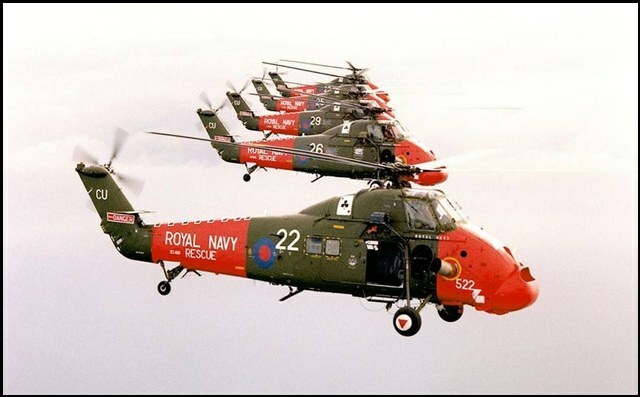 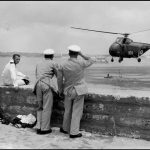 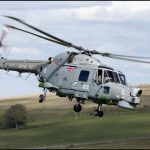 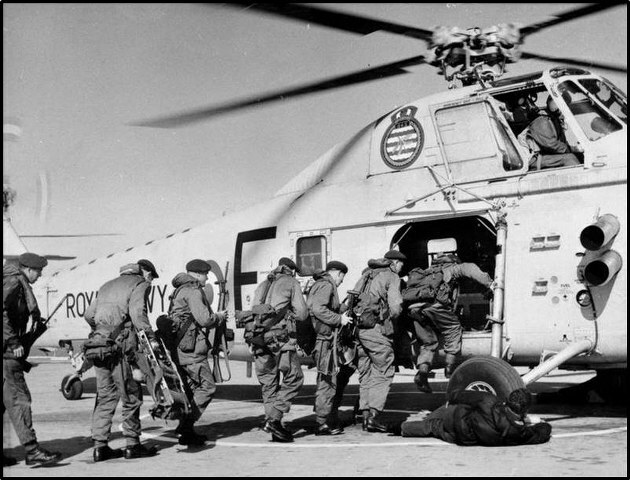 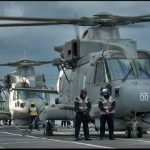 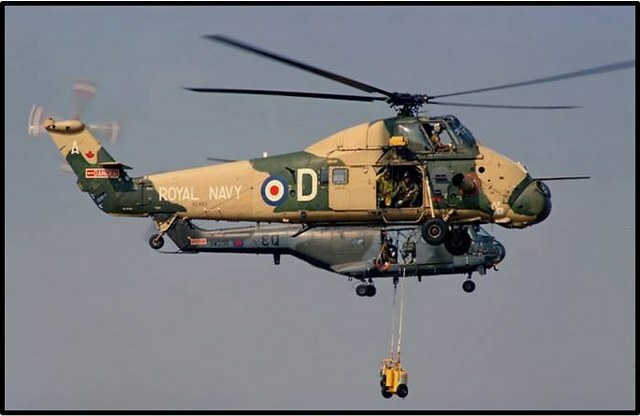 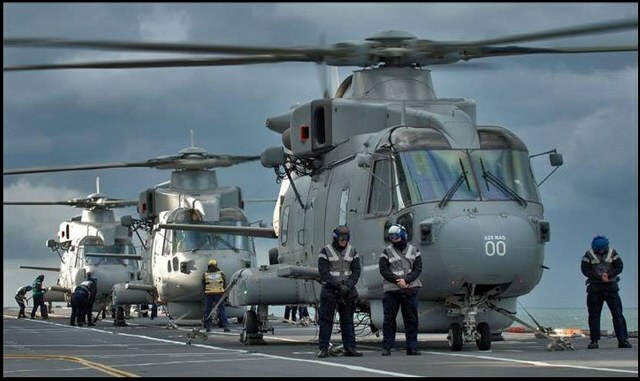 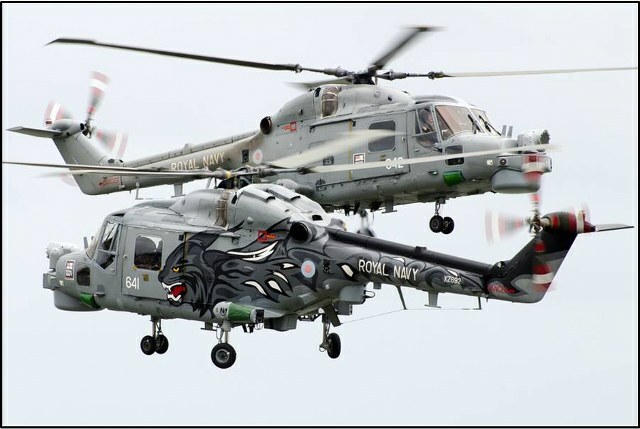 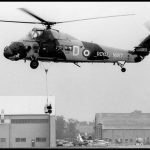 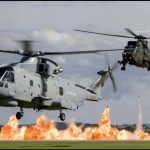 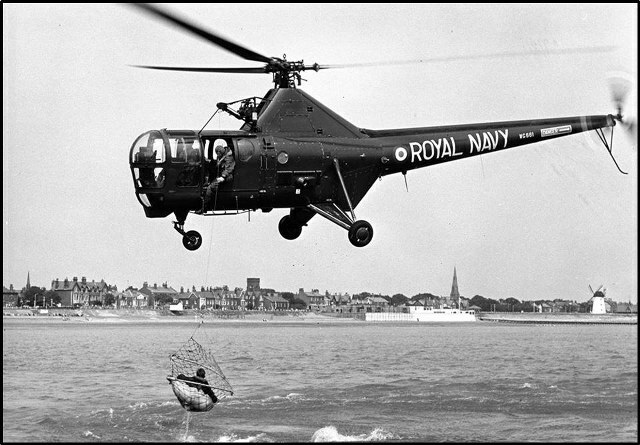 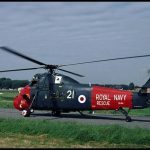 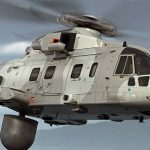 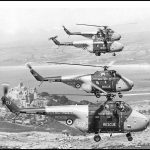 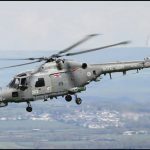 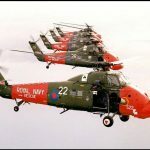 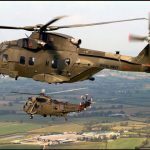 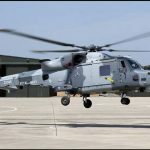 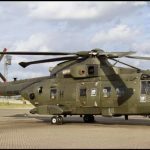 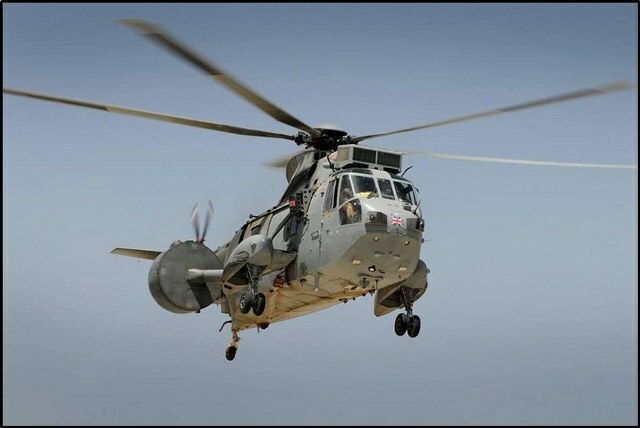 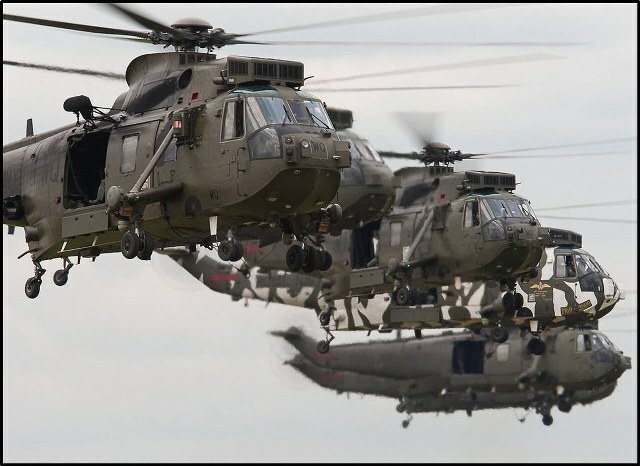 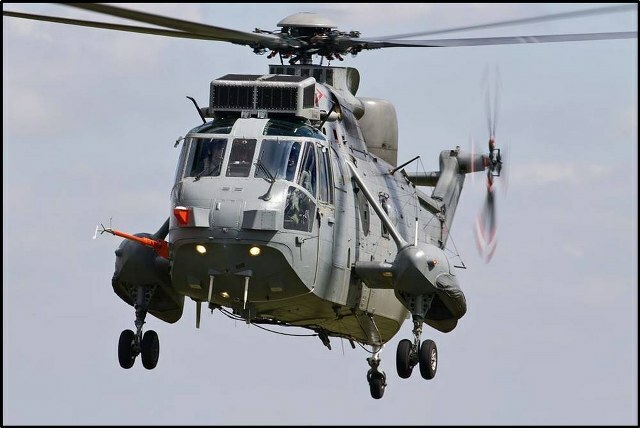 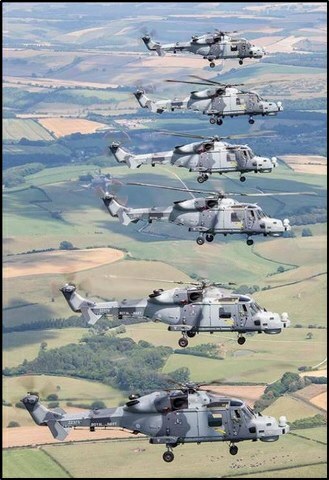 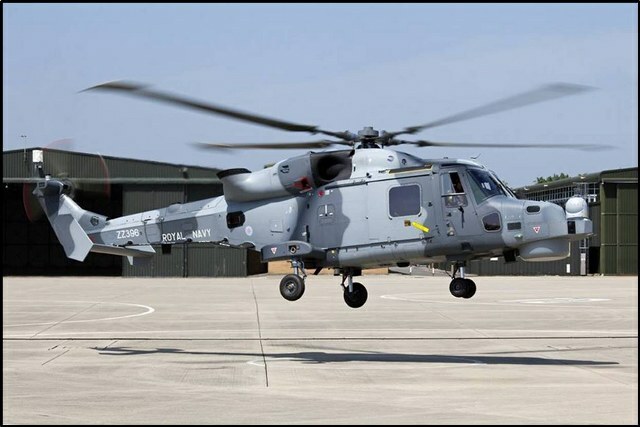 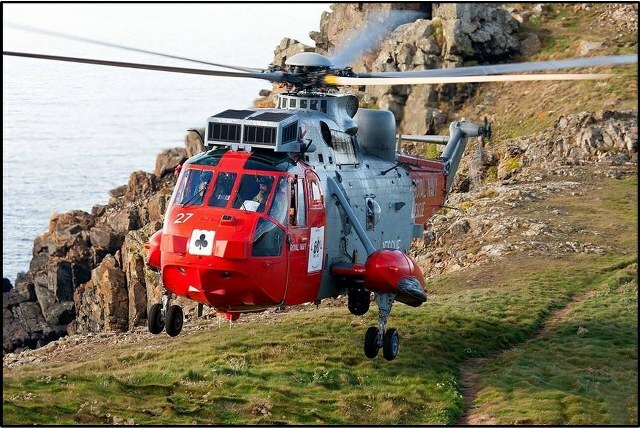 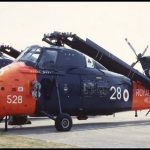 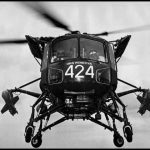 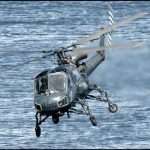 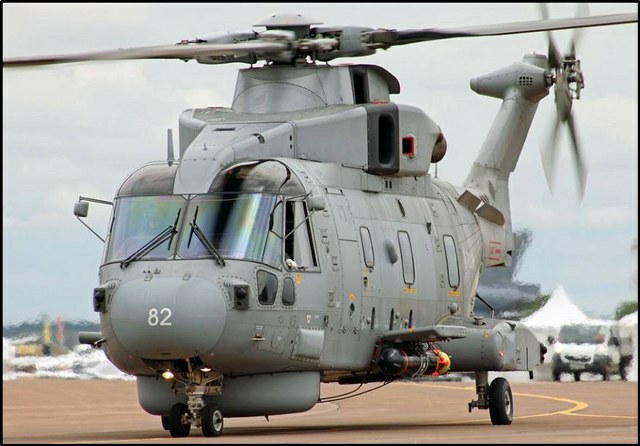 Commando Helicopter Force (CHF) based at RNAS Yeovilton currently consists of three Naval Air Squadrons; 845, 846 and 847 NAS. 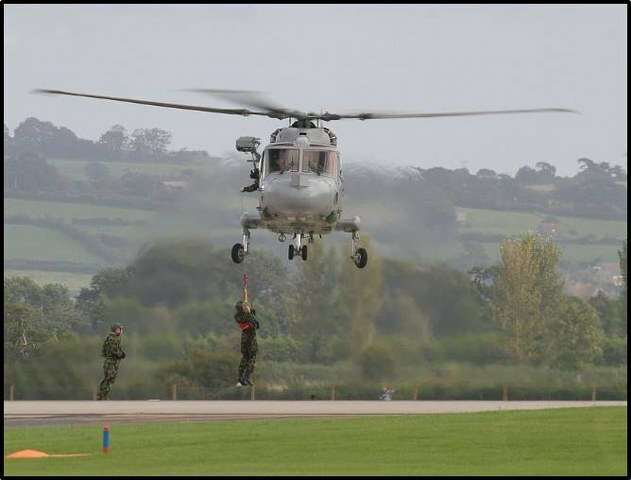 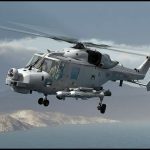 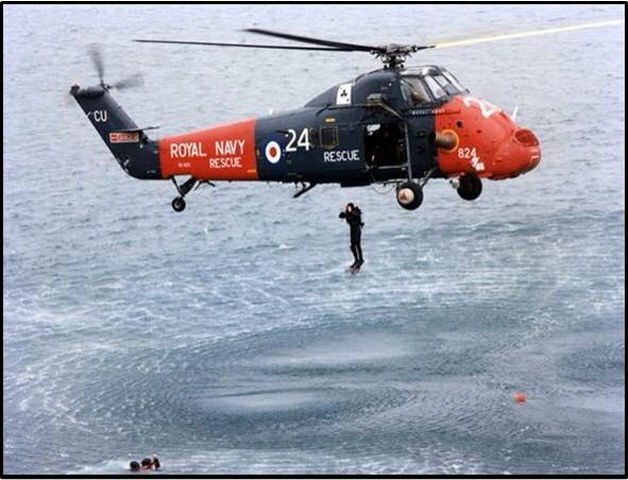 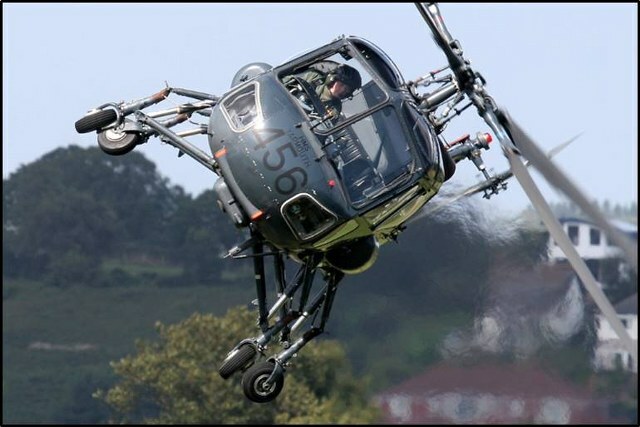 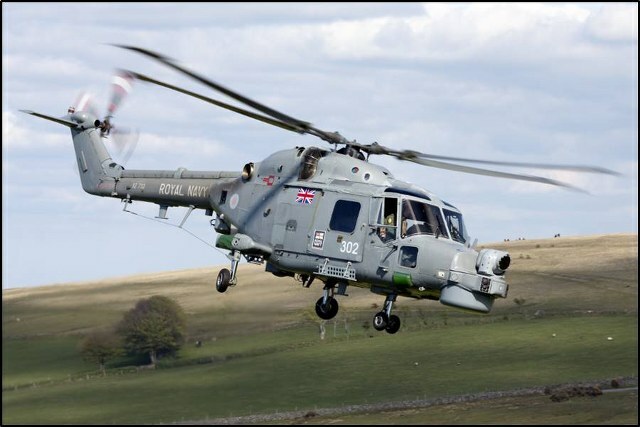 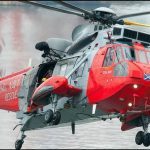 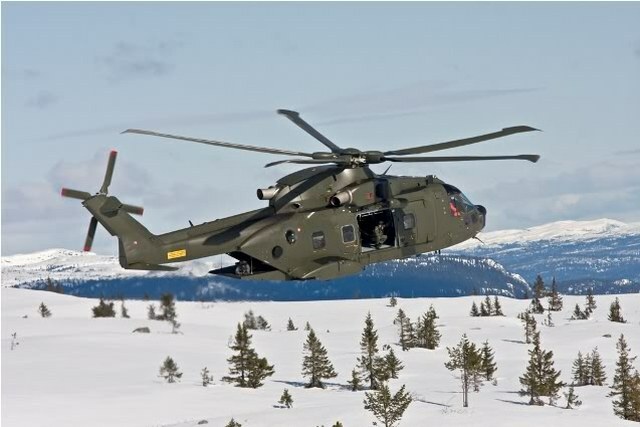 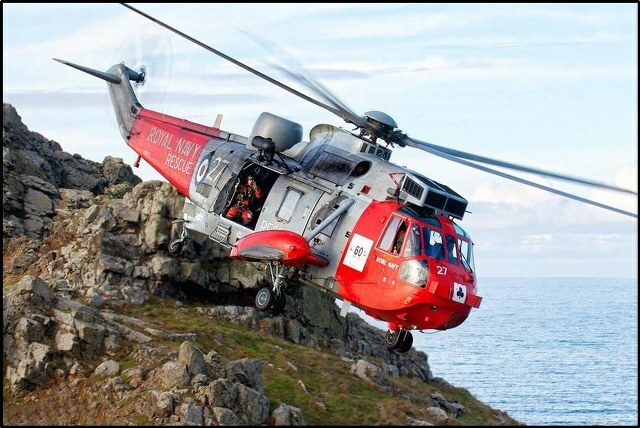 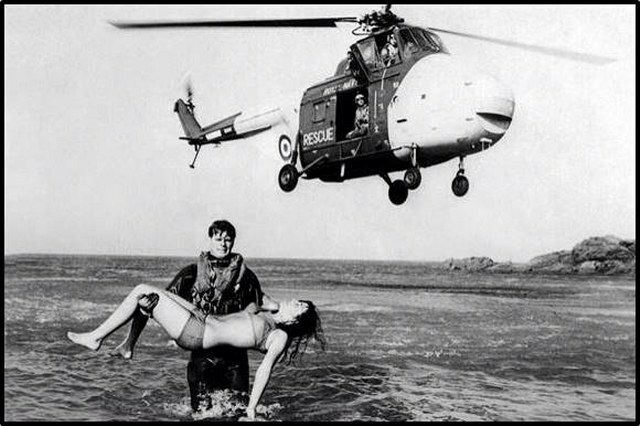 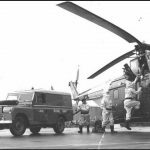 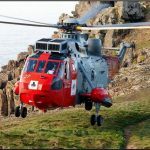 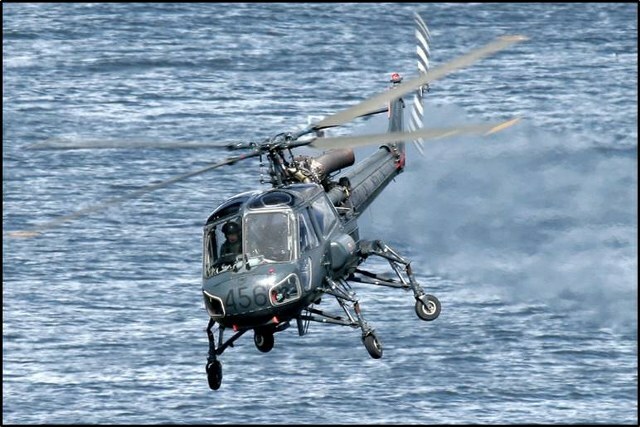 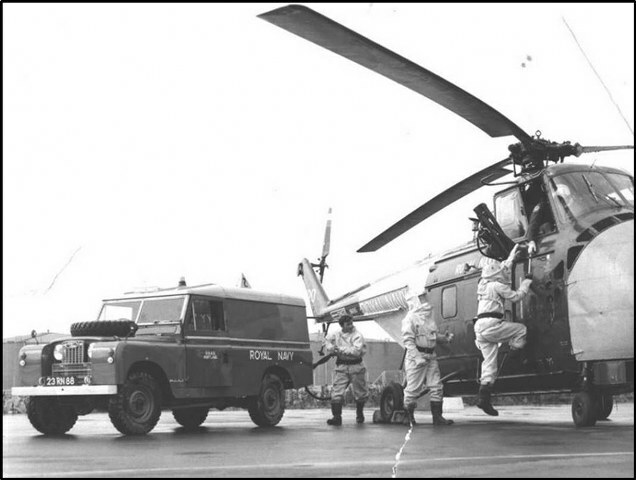 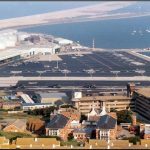 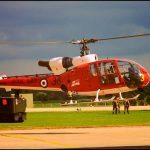 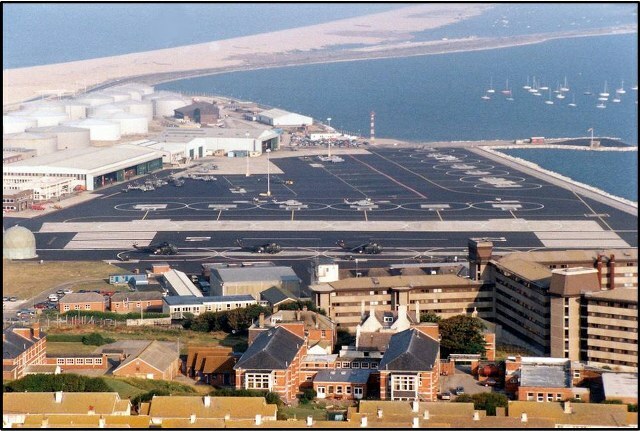 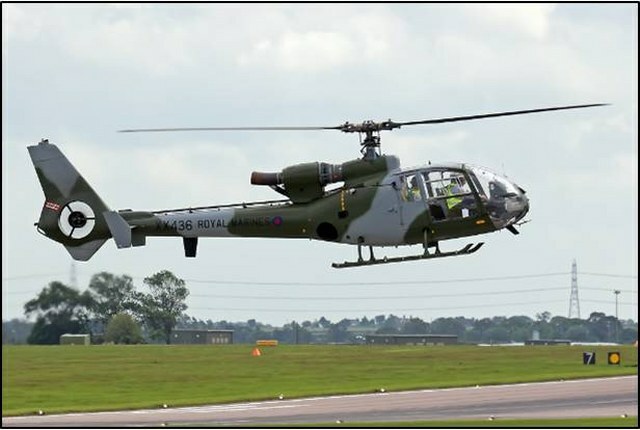 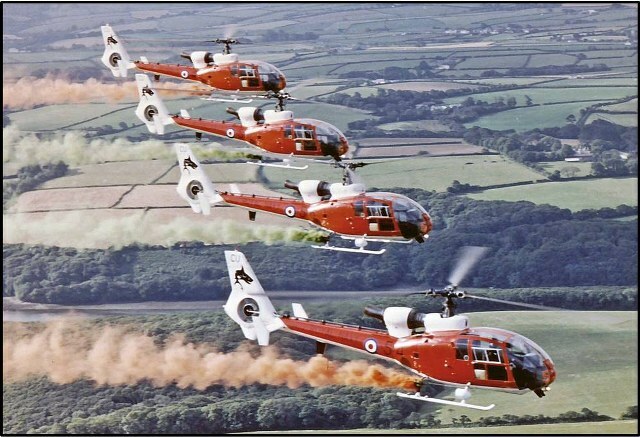 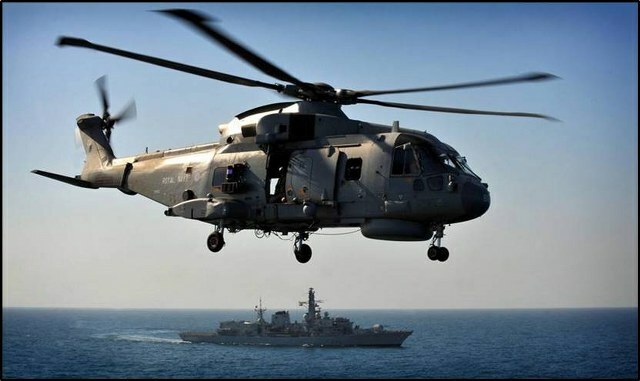 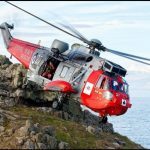 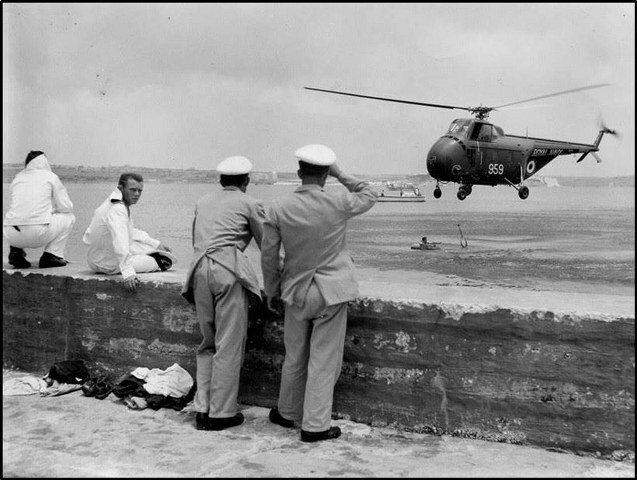 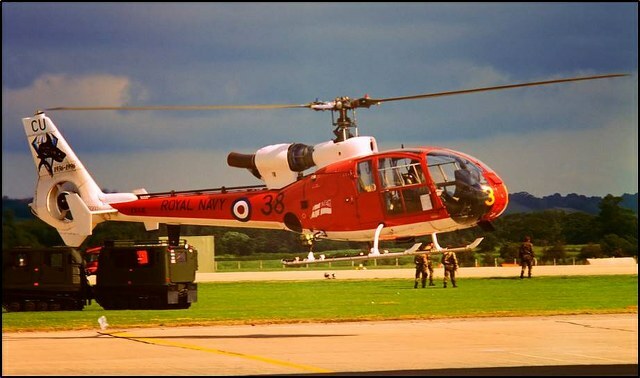 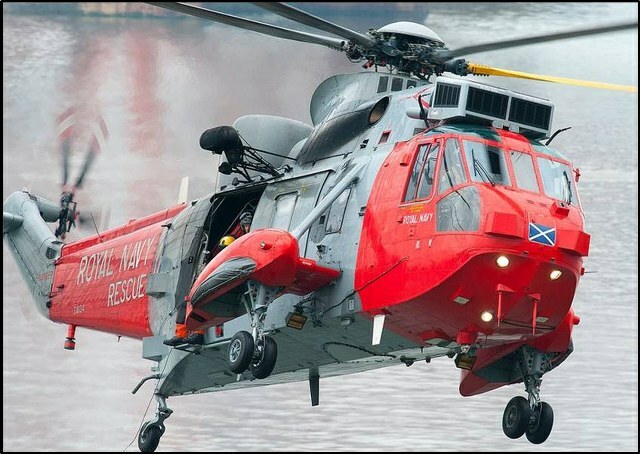 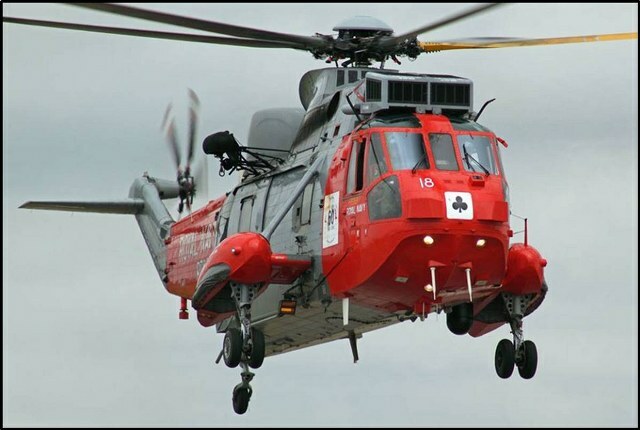 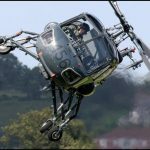 The Naval Air Squadrons of CHF are integrated under the command of a Headquarters, established to operate helicopters afloat or ashore in support of the UK armed forces. 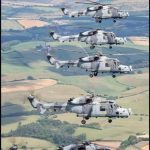 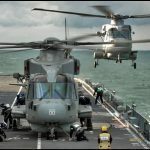 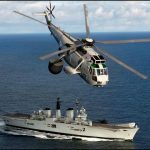 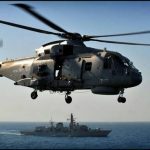 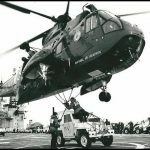 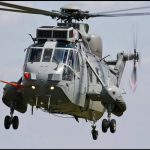 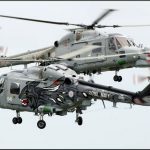 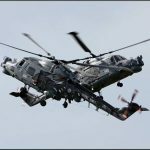 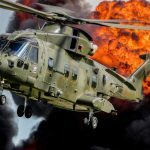 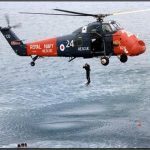 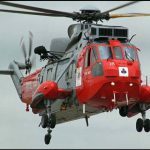 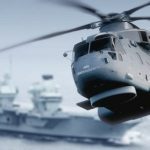 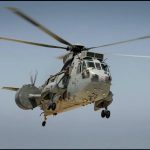 It is a combined Royal Navy and Royal Marine force that flies Sea King and Lynx helicopters that specialises in amphibious warfare. 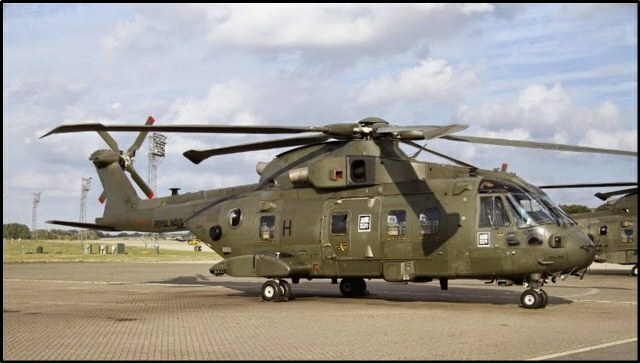 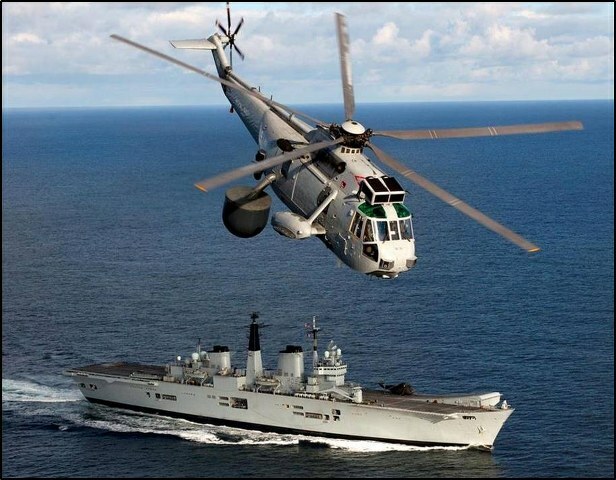 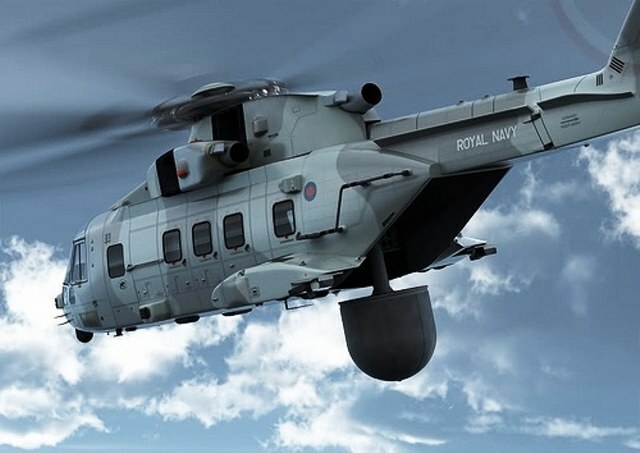 The Merlin HM Mk2 helicopter is the Royal Navys airborne submarine hunter. 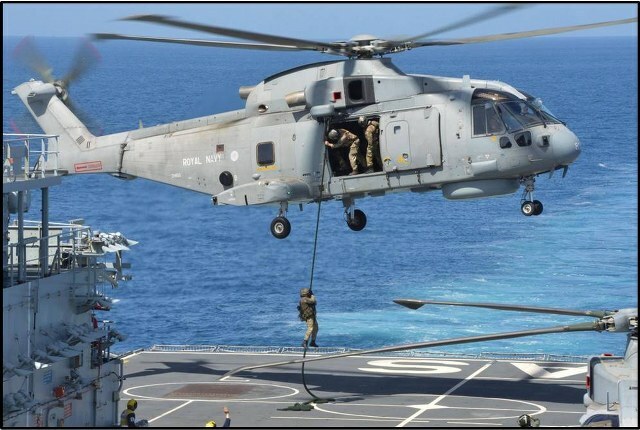 USS Fitzgerald, At sea (Sept. 8, 2007) – A visit, board, search and seizure (VBSS) team from HMS Monmouth (F-235) performs a fast-rope insertion on the flight deck of USS Fitzgerald (DDG 62) via Monmouths Merlin helicopter. 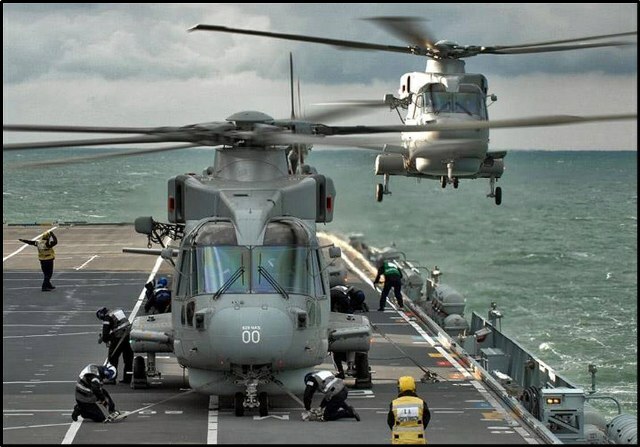 Fitzgerald and Monmouth conducted a Passing Exercise (PASSEX) off Okinawa on 7-8 September 2007. 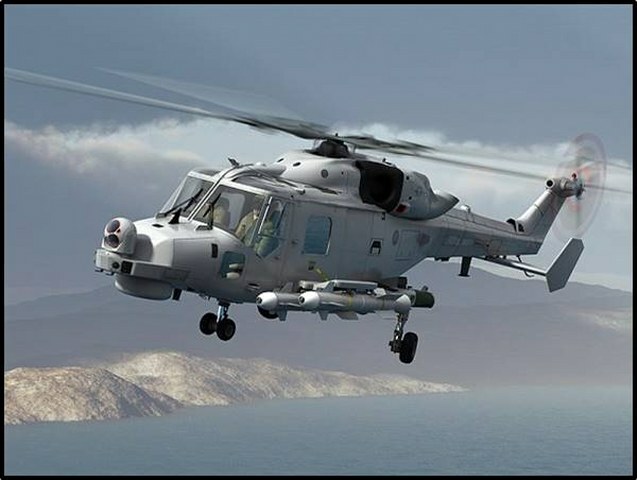 U.S. Navy photo by Boatswain’s Mate 2nd Class (SW) Alexis M. Diaz.